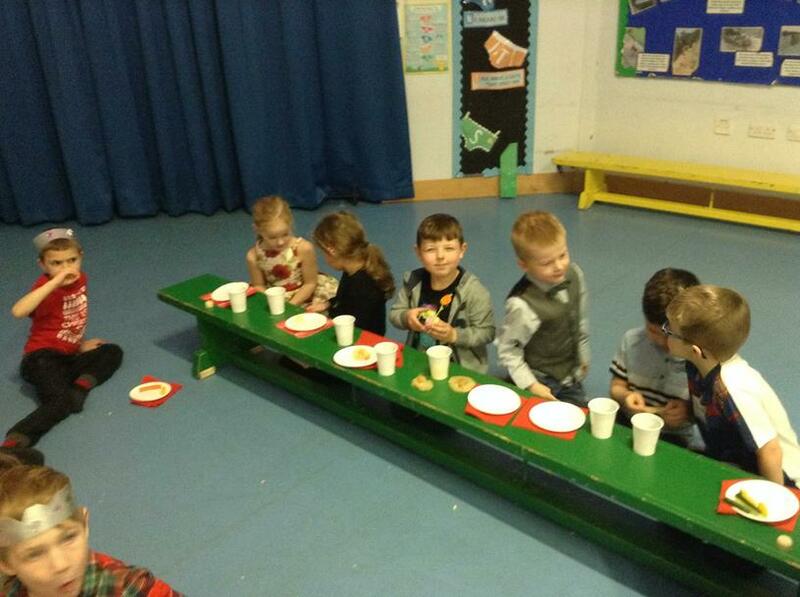 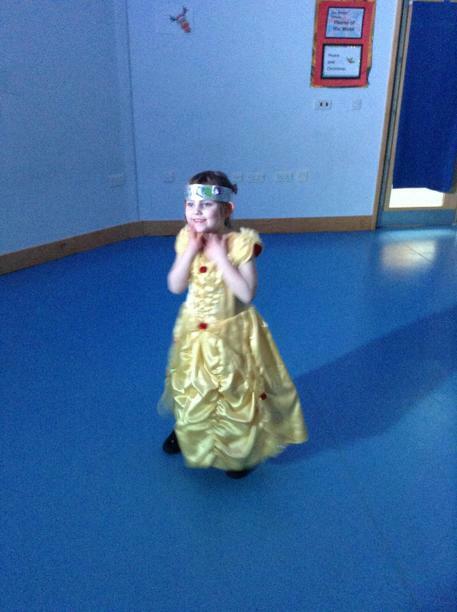 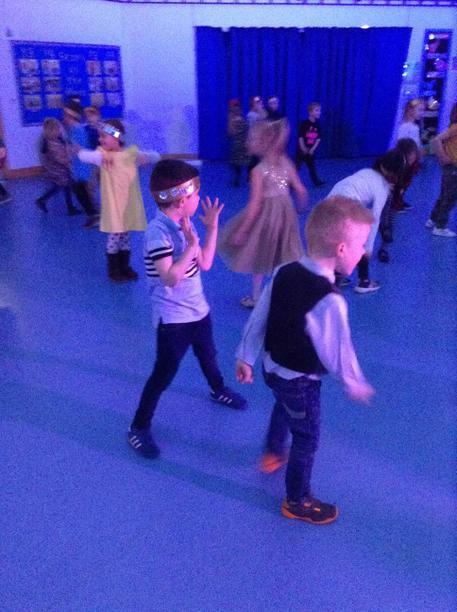 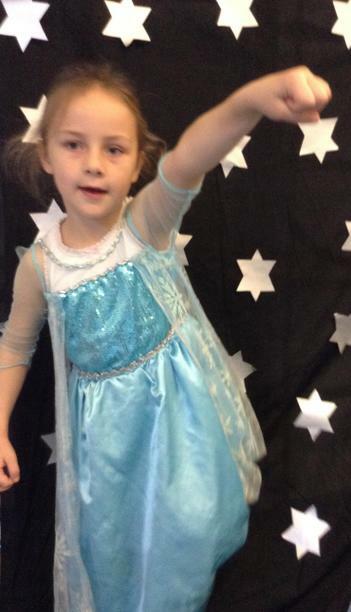 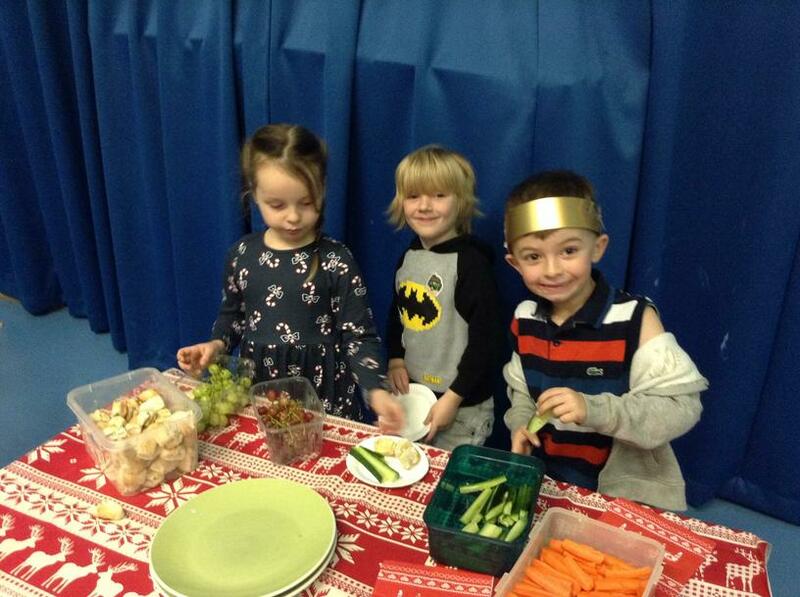 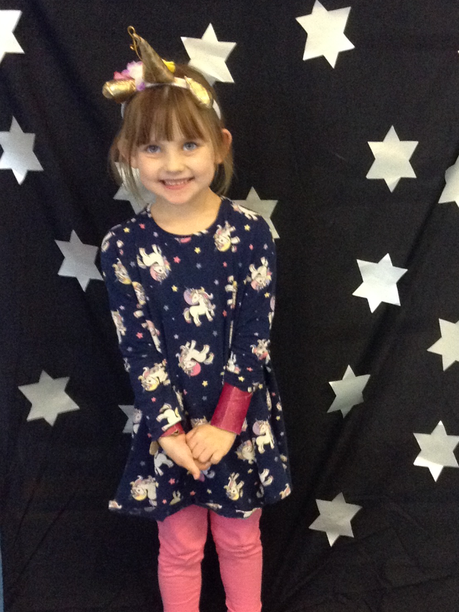 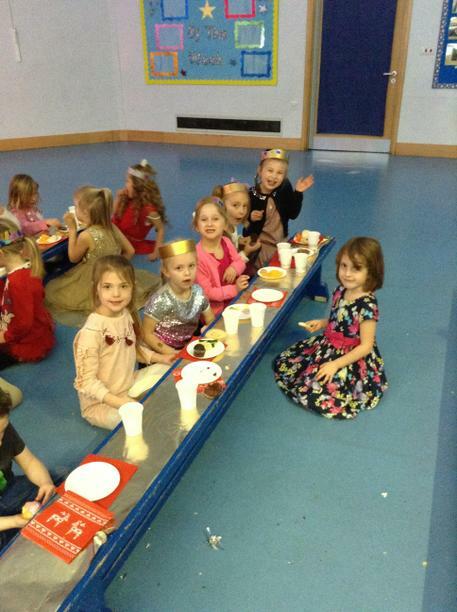 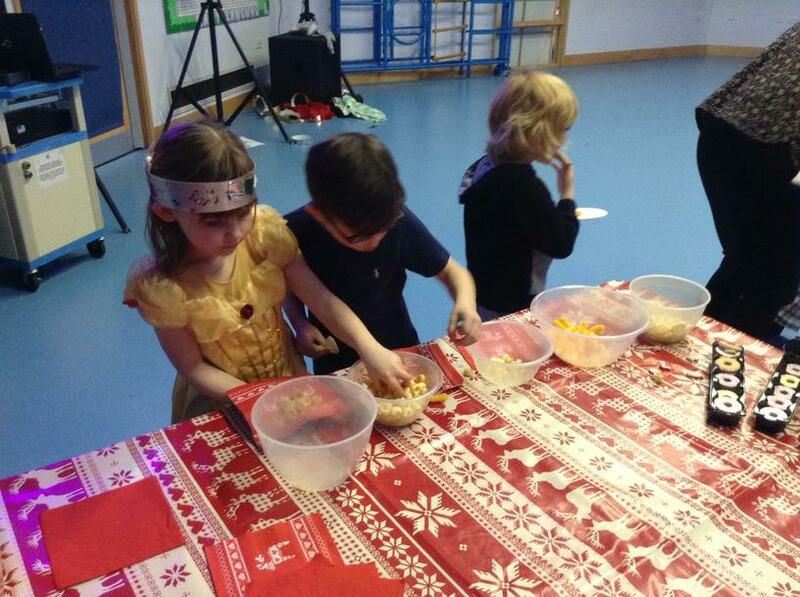 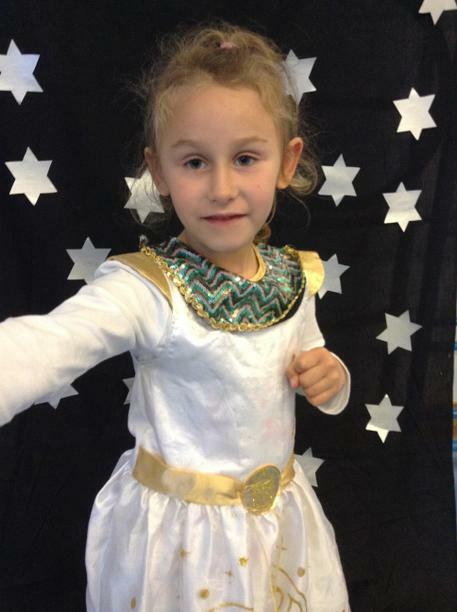 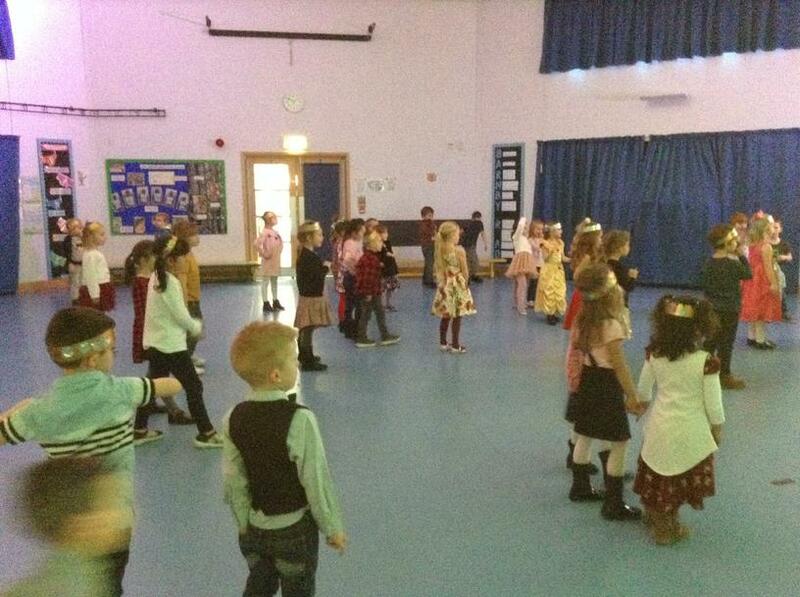 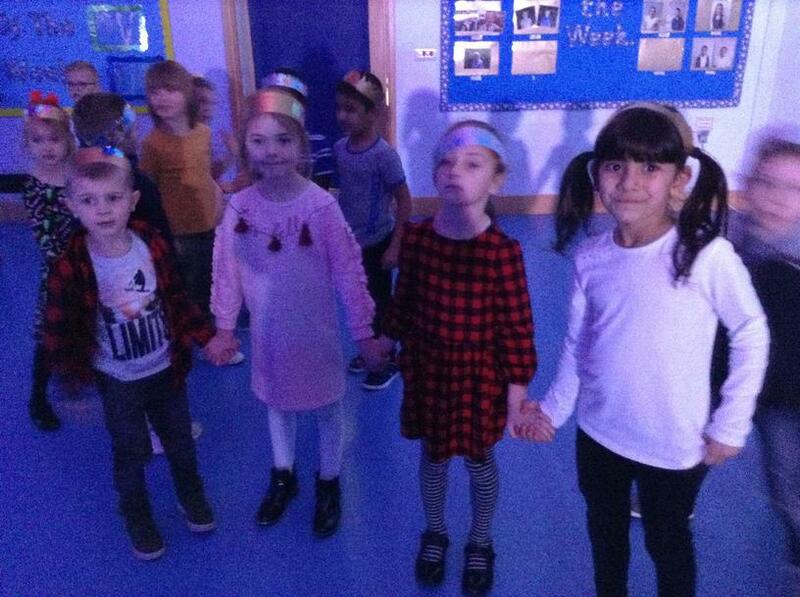 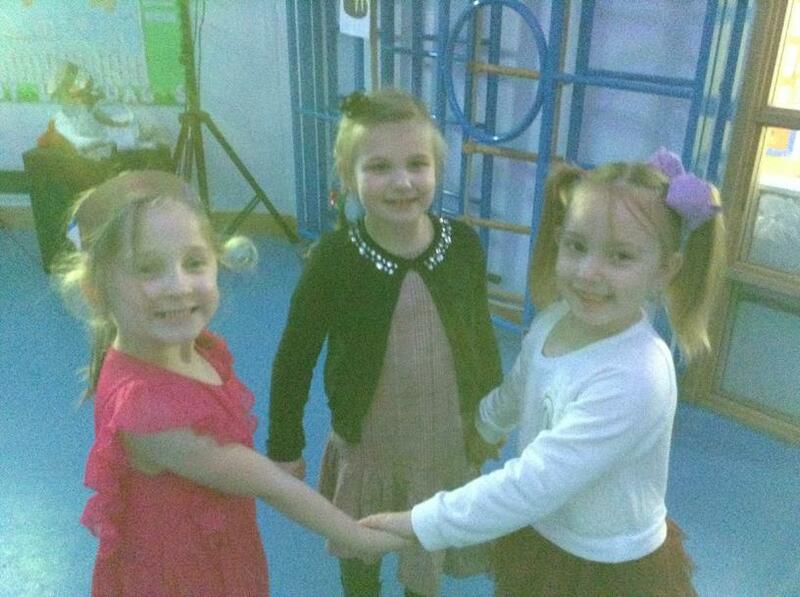 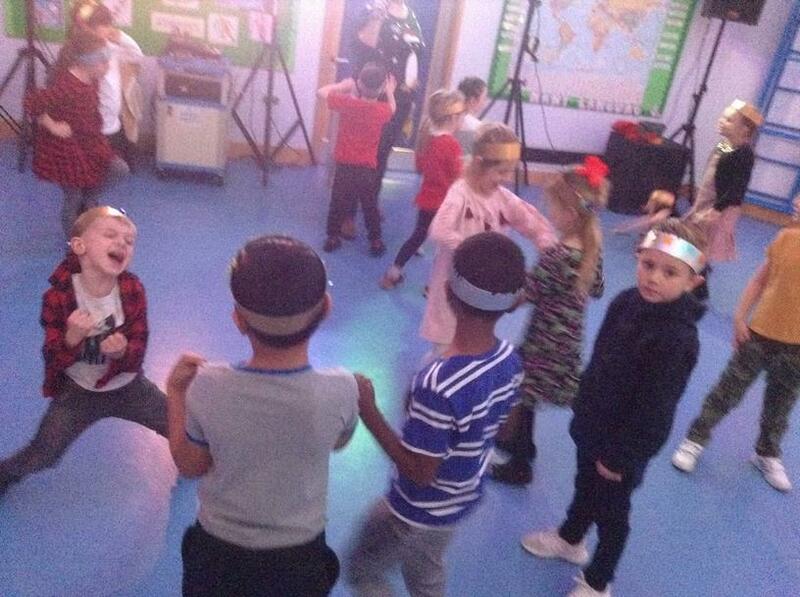 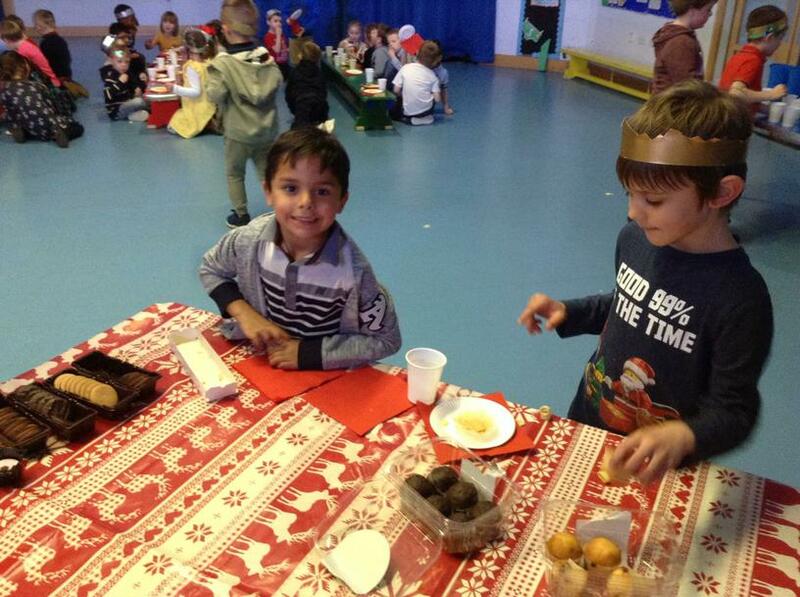 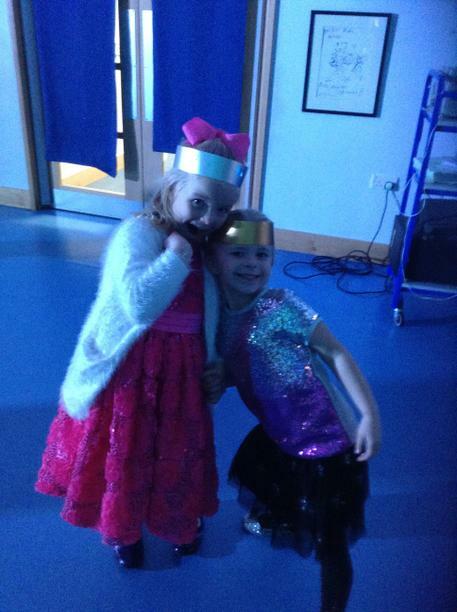 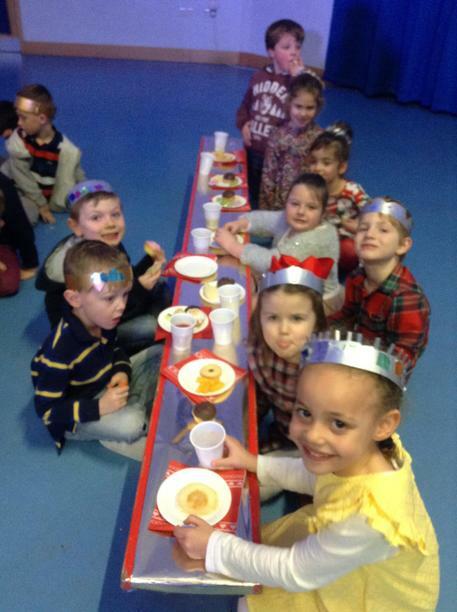 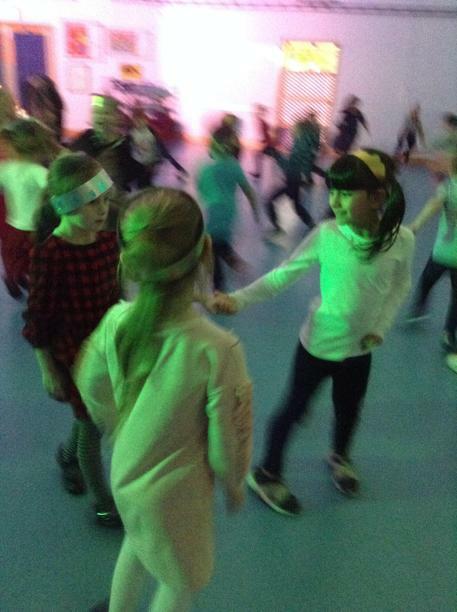 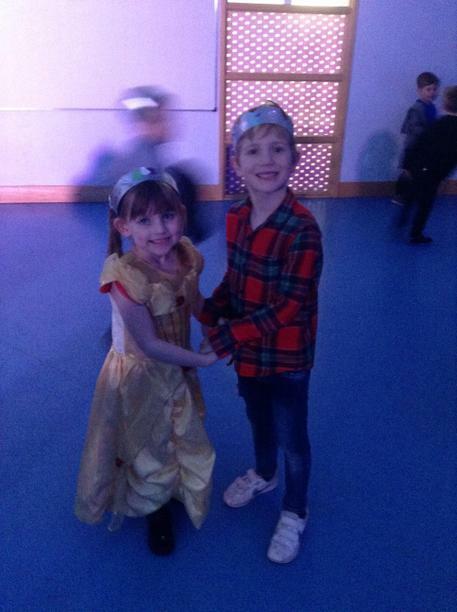 Year 1 have had so much fun at their Christmas party! 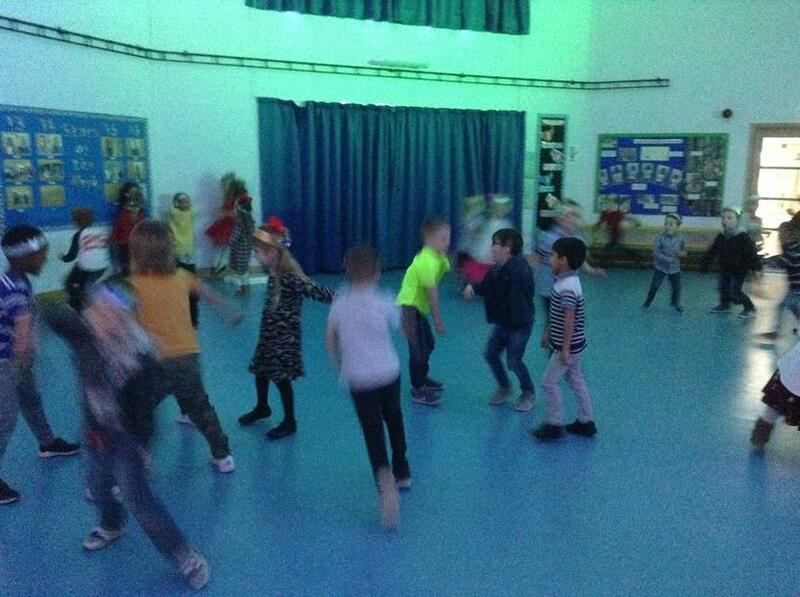 They played musical statues, corners and also had a dance competition. 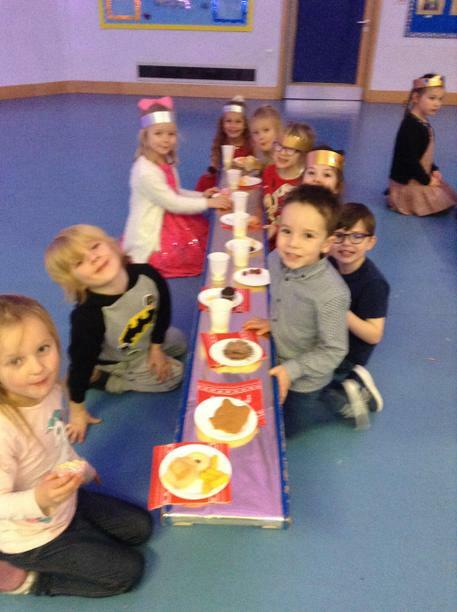 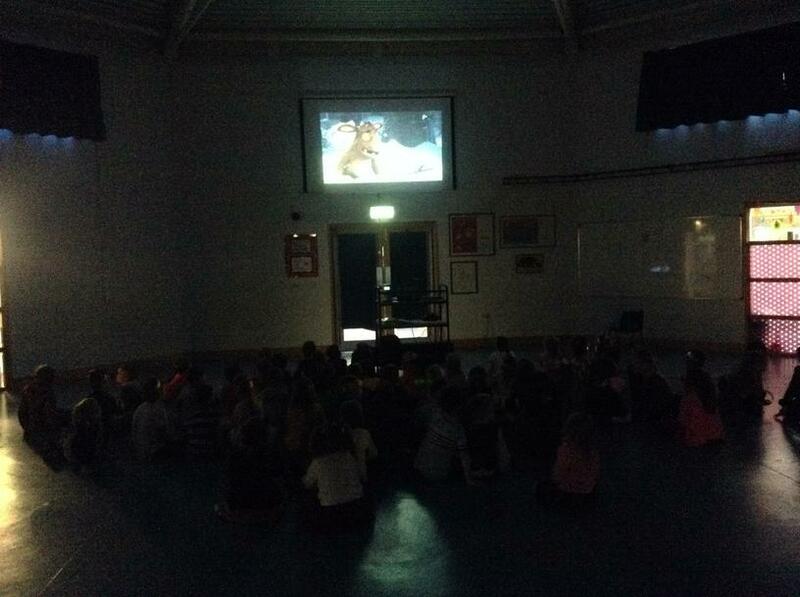 The afternoon was finished off with some tasty party food and they watched the Gruffalo's Child as a great way to end their Julia Donaldson topic. 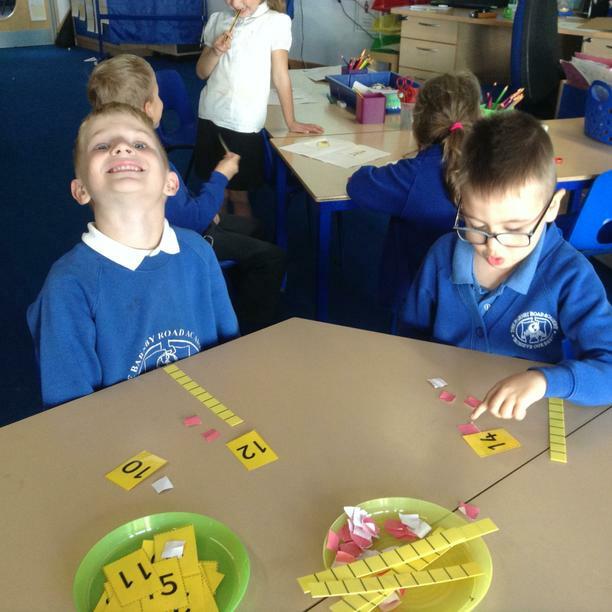 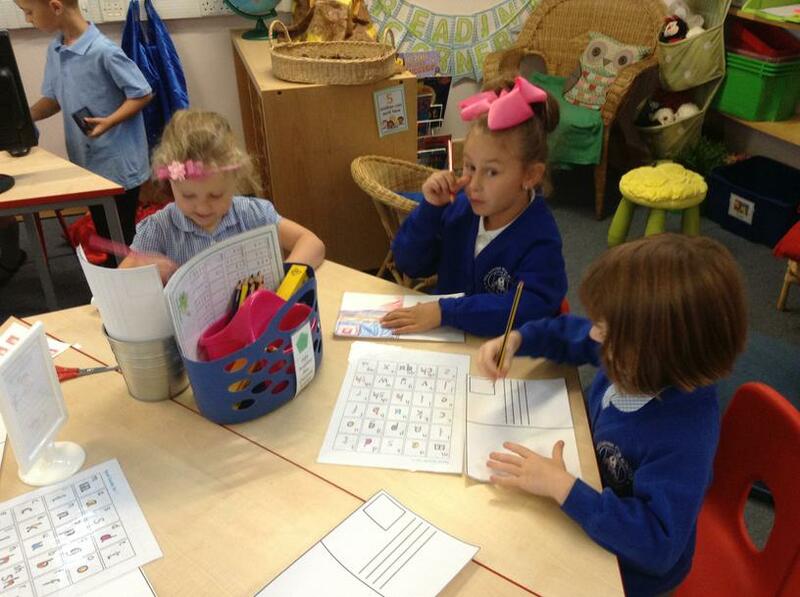 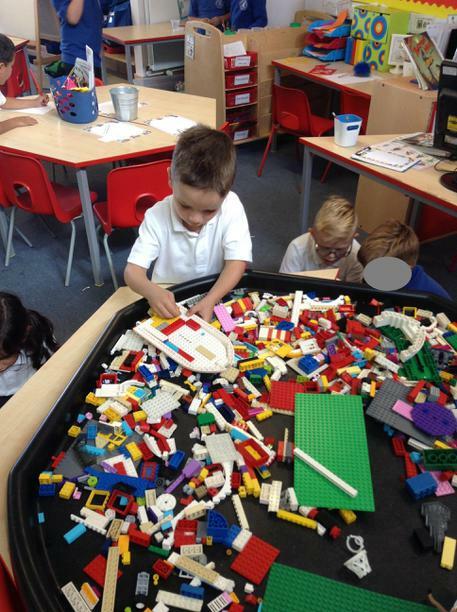 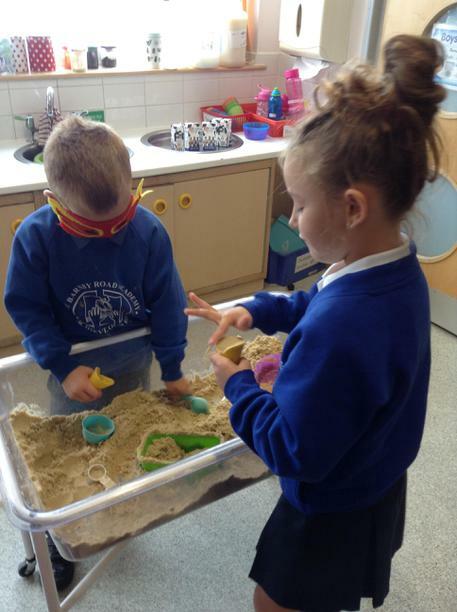 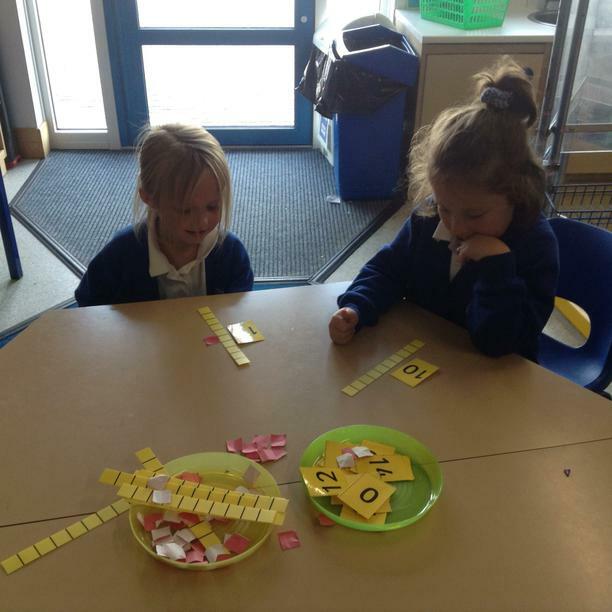 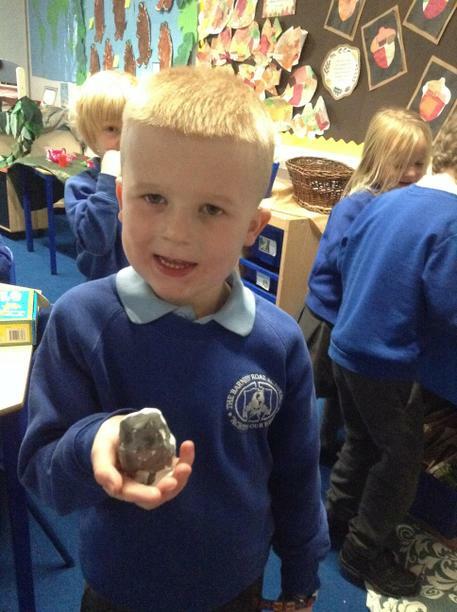 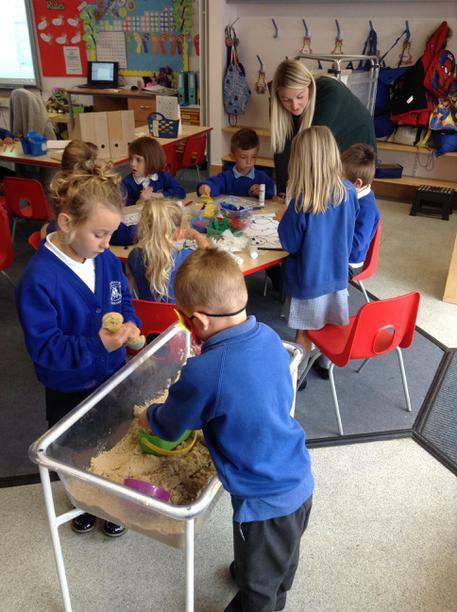 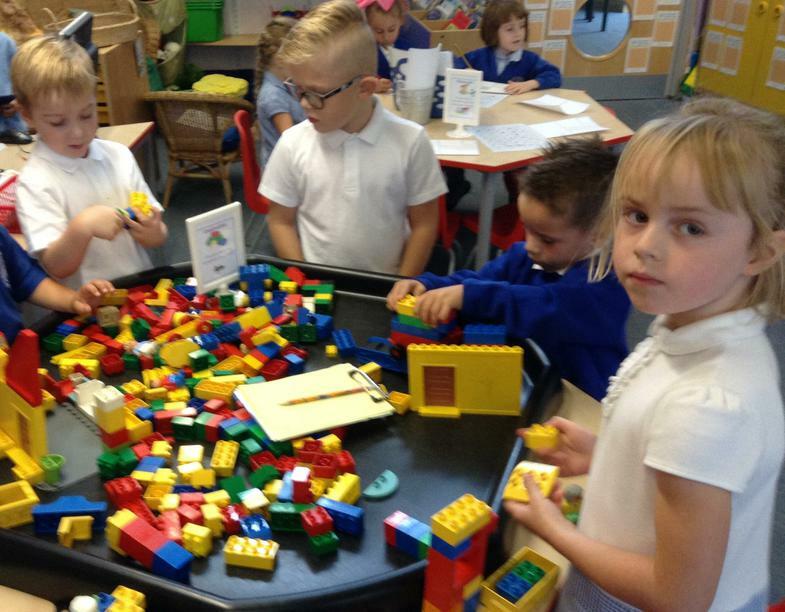 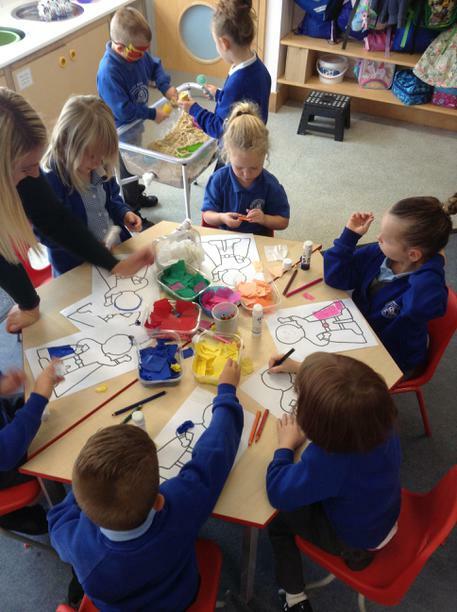 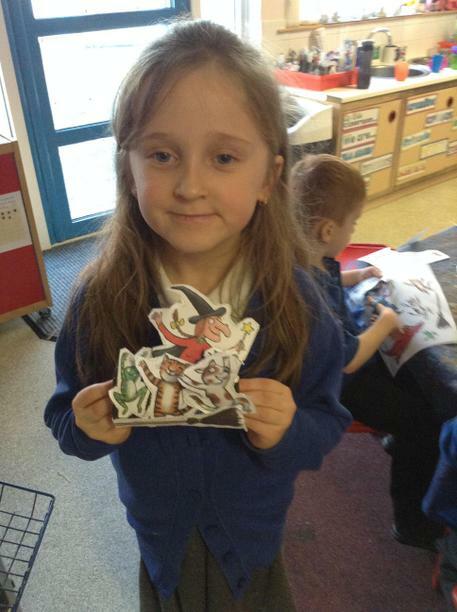 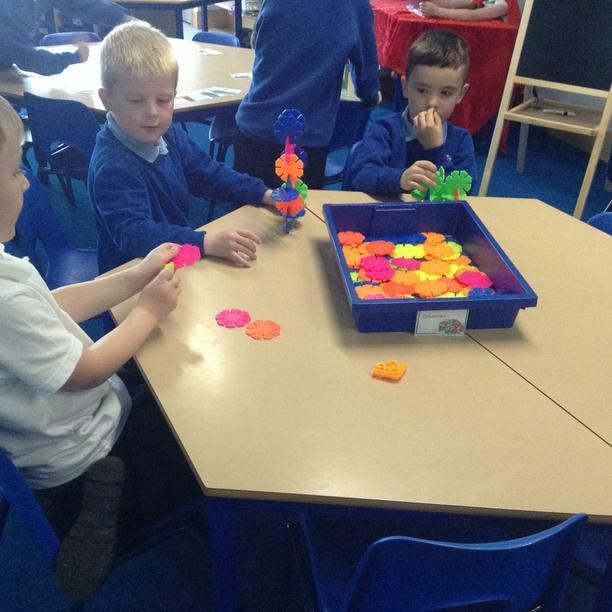 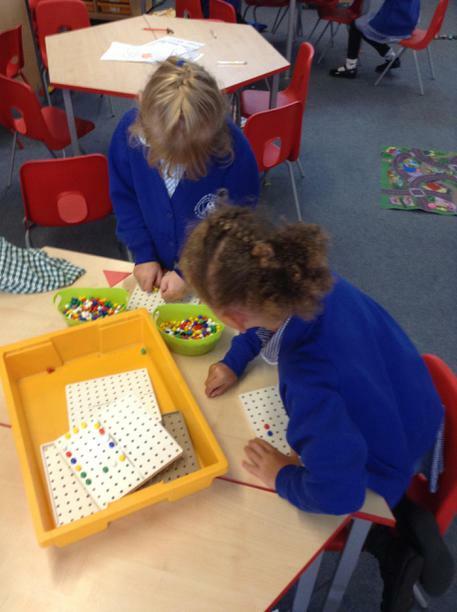 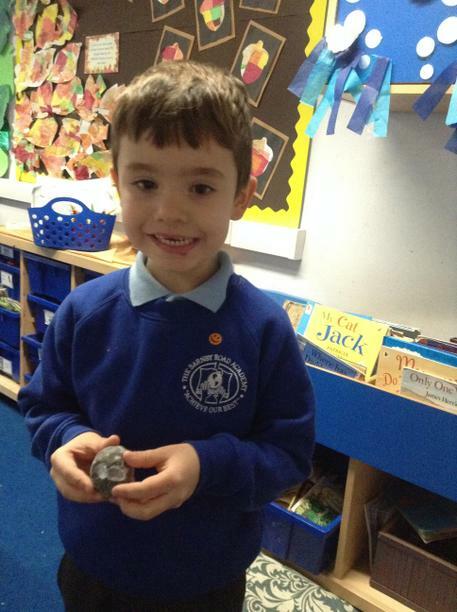 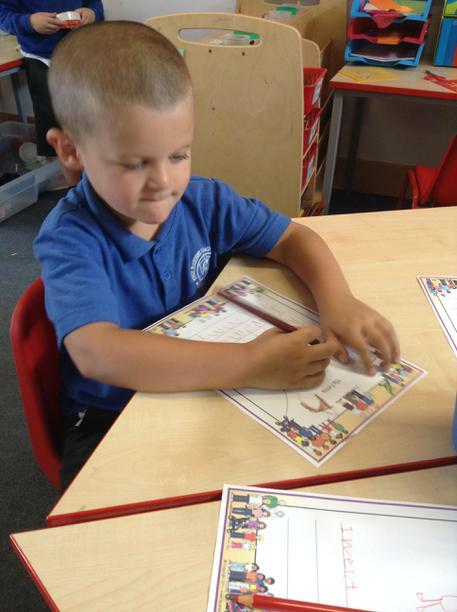 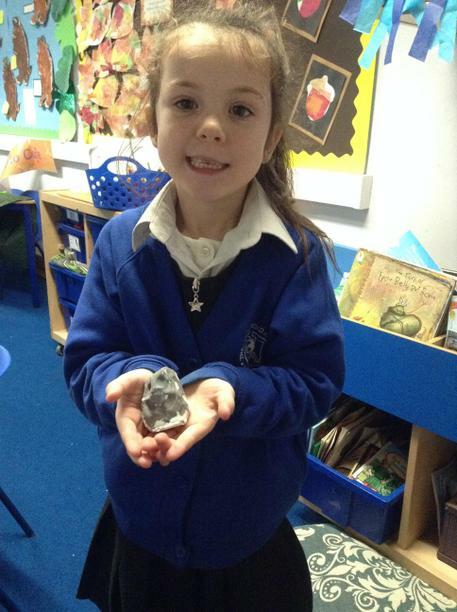 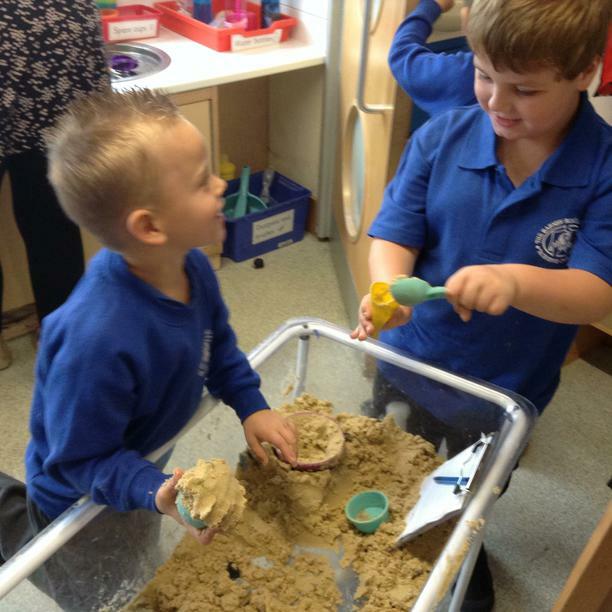 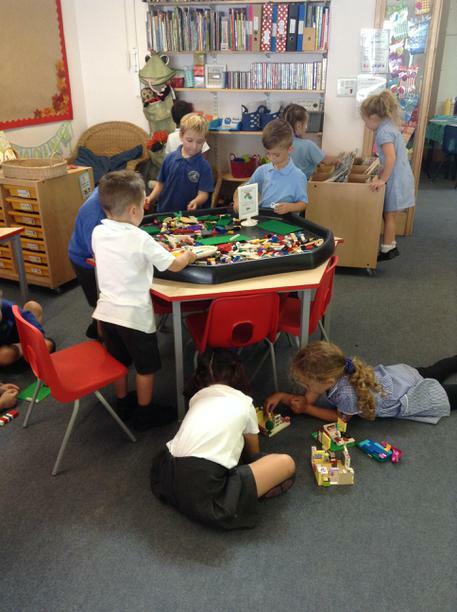 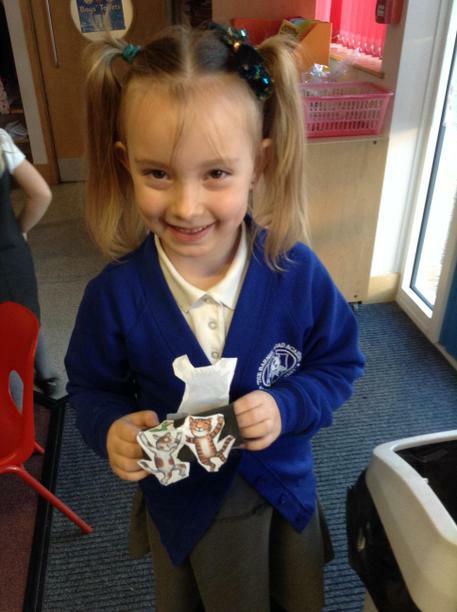 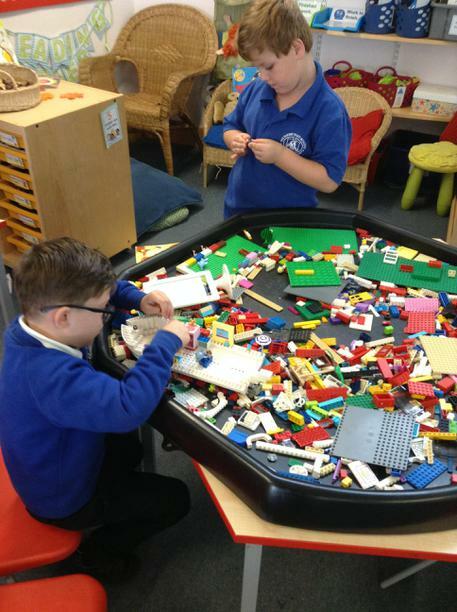 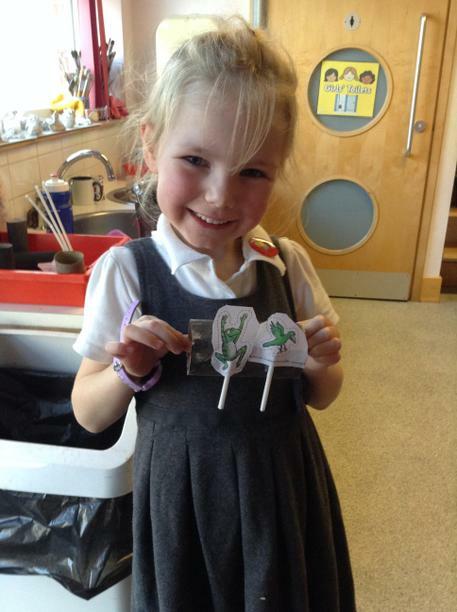 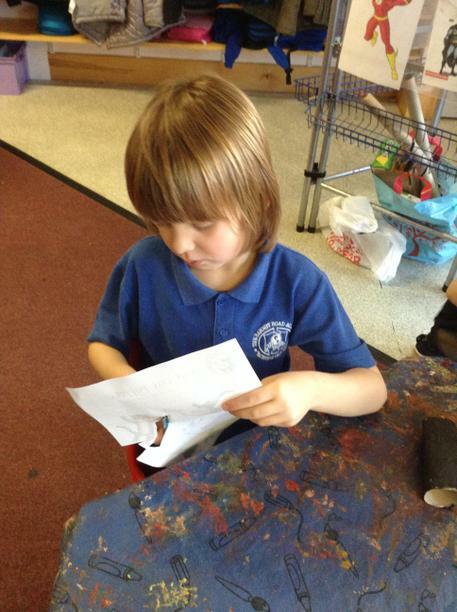 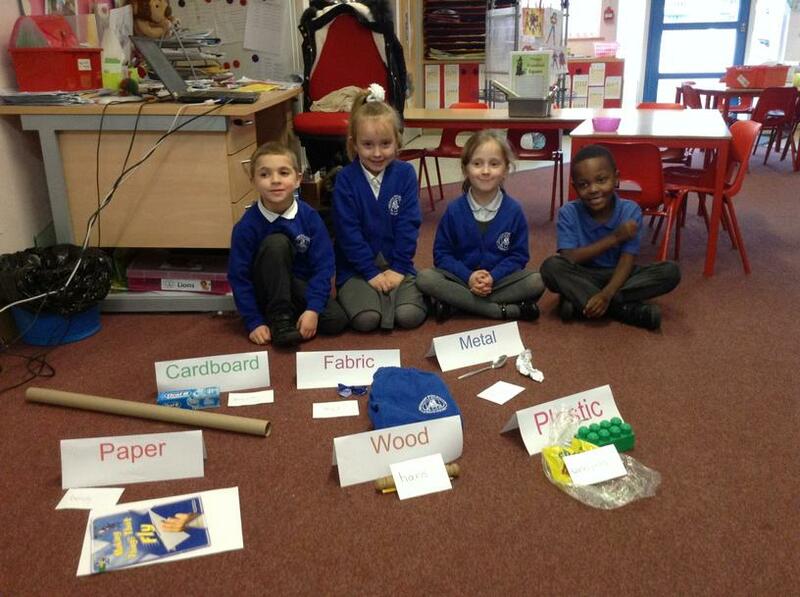 As part of our Julia Donaldson topic, the Lions have been learning about different materials. 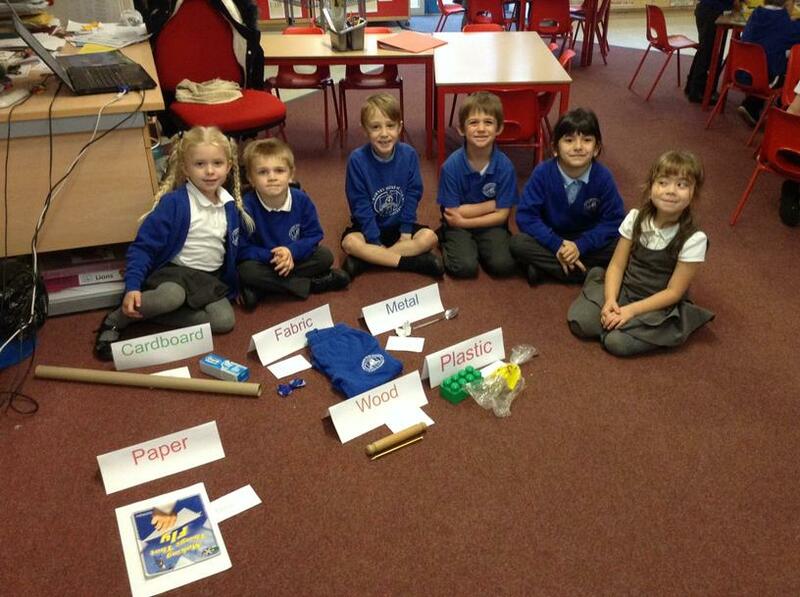 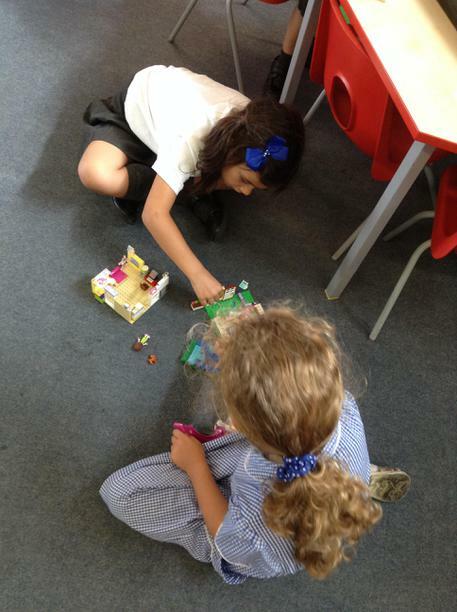 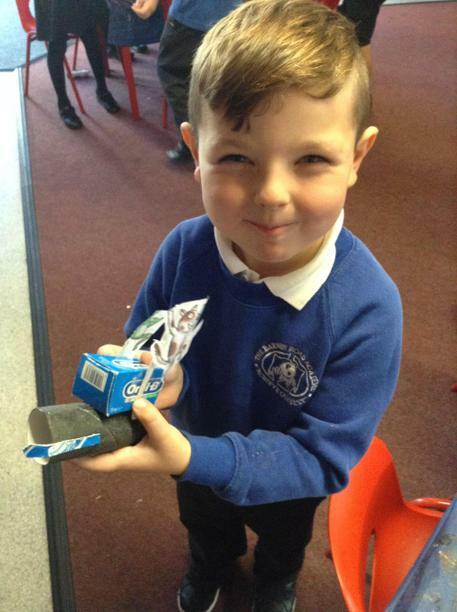 We felt and sorted objects into the materials they are made from. 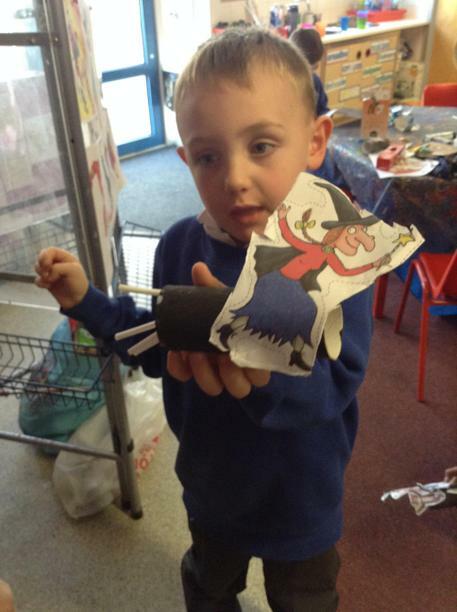 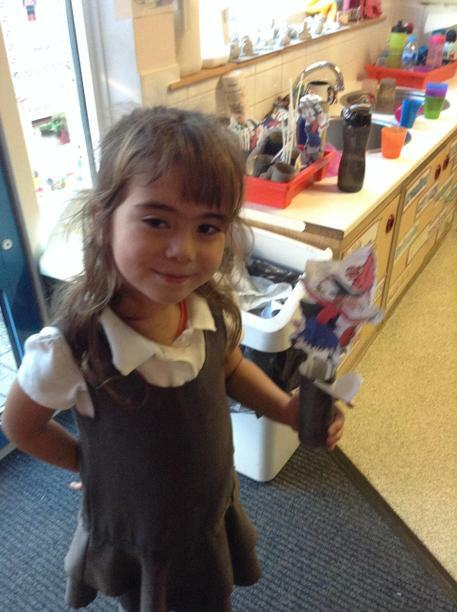 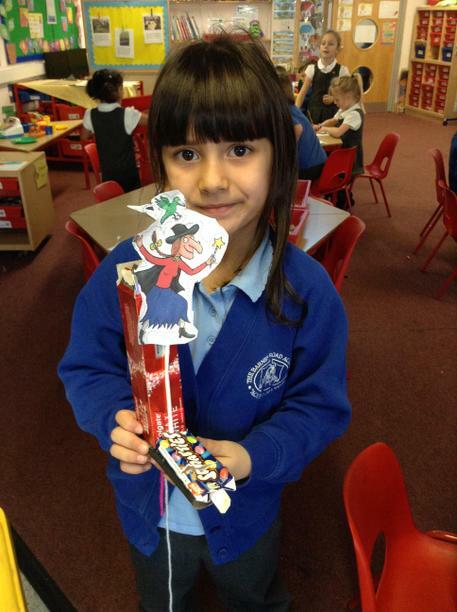 After reading Room on the Broom, we designed a new broomstick for the witch. 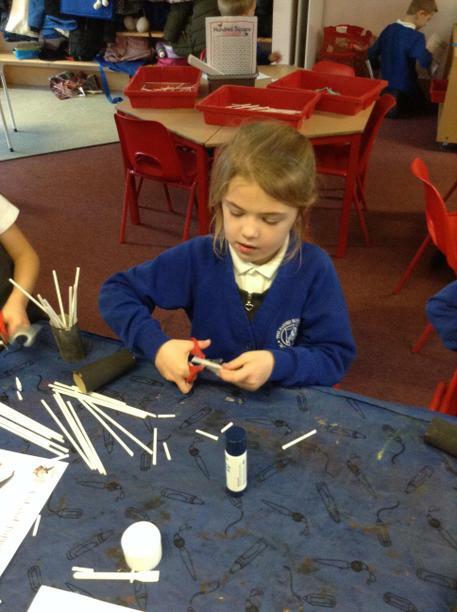 Then we carefully followed our plan to create our own broomstick. 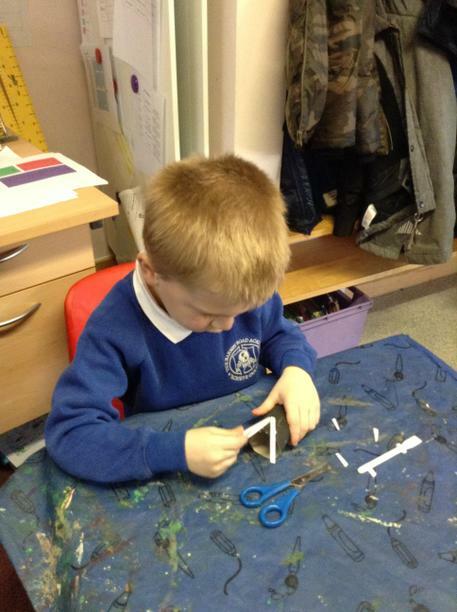 We made sure we used the tools safely and made sure we were holding the scissors in the right way. 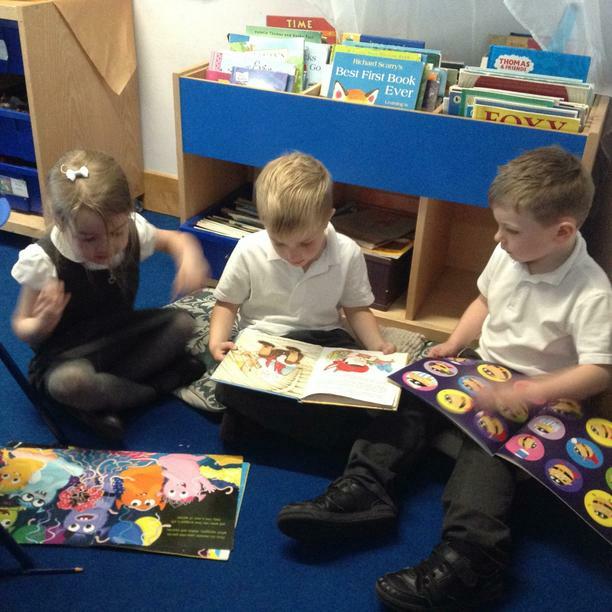 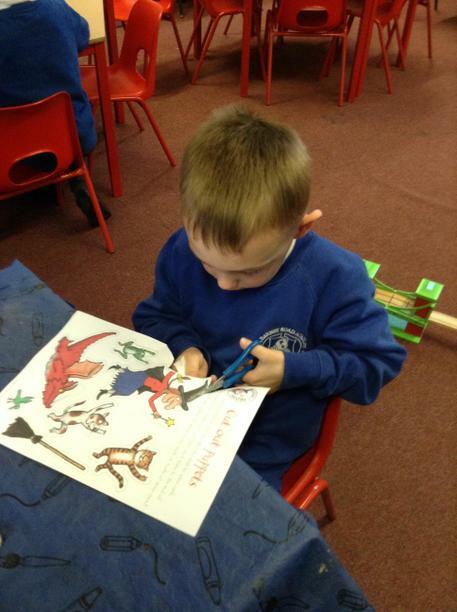 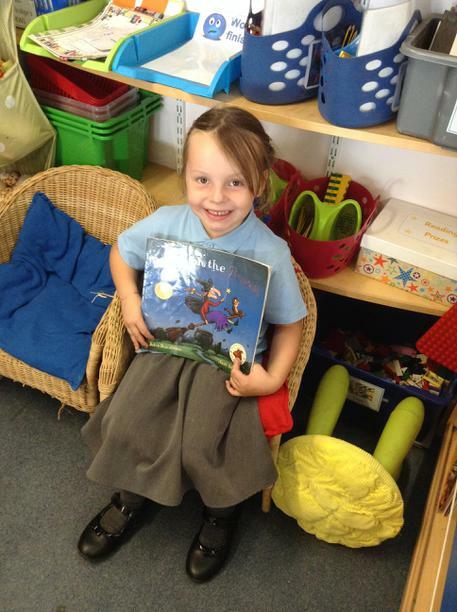 Meerkat Class have really enjoyed our Julia Donaldson topic so far! 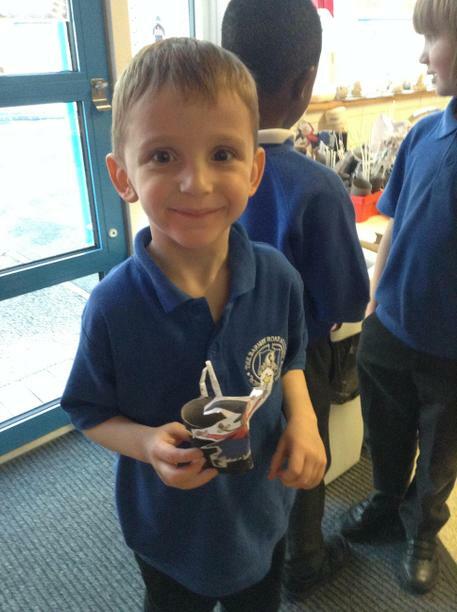 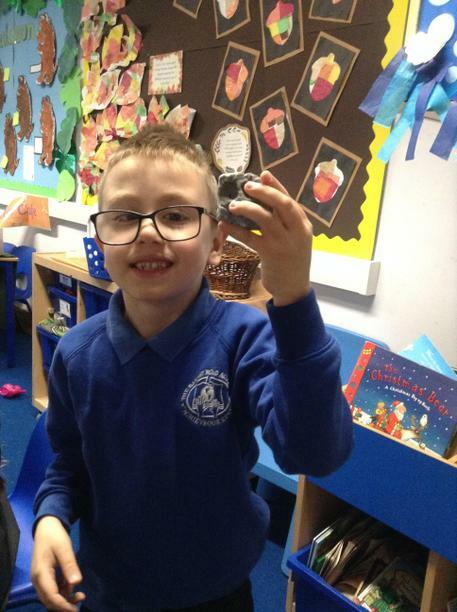 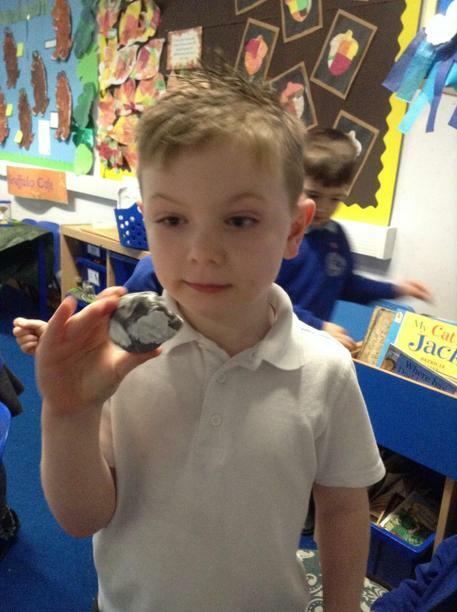 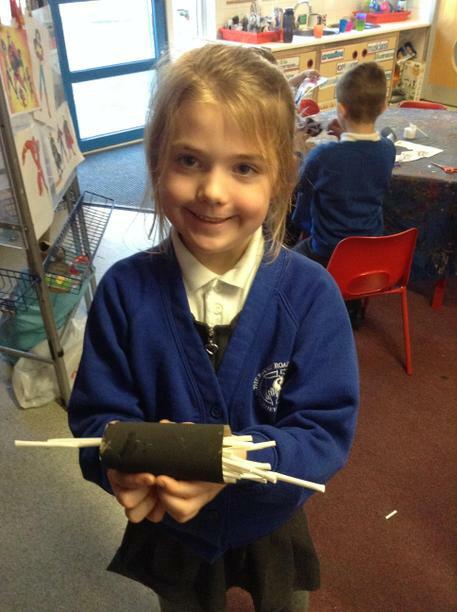 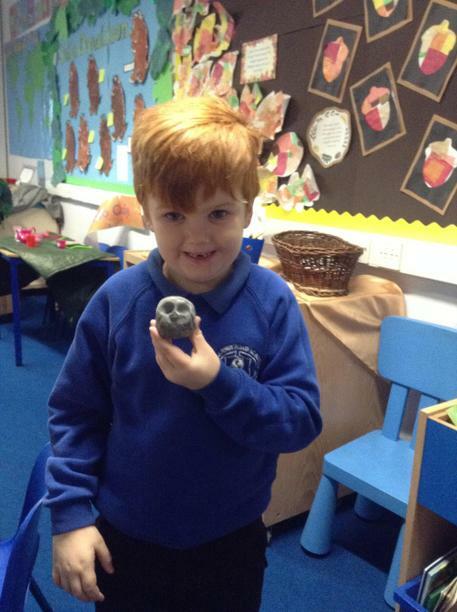 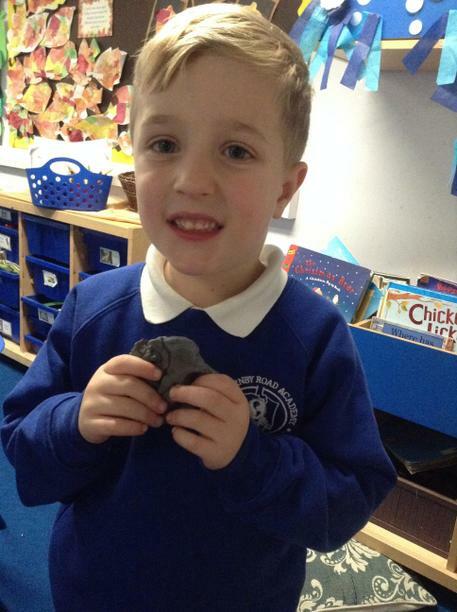 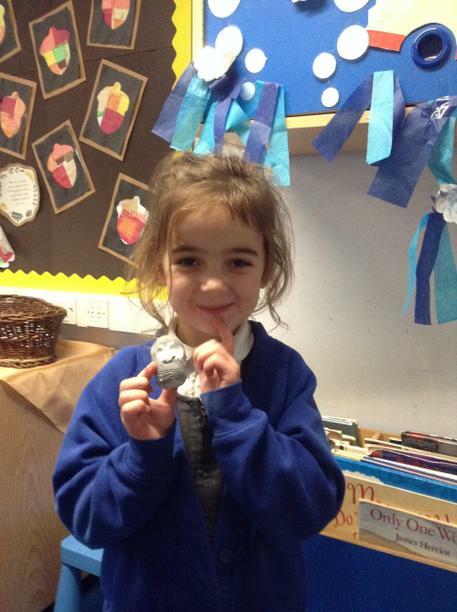 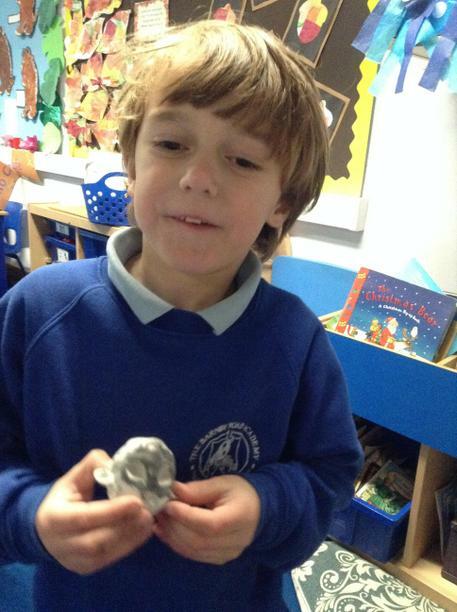 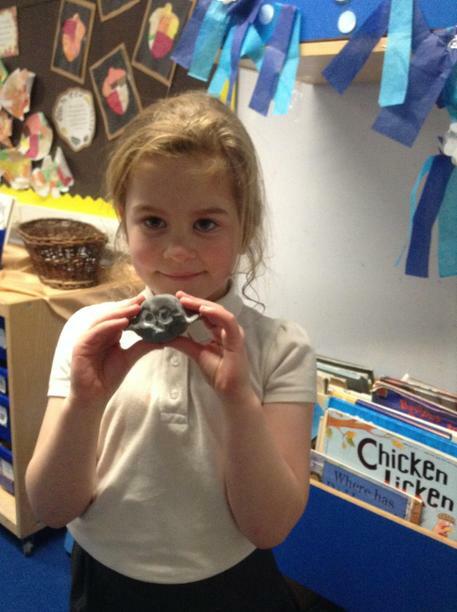 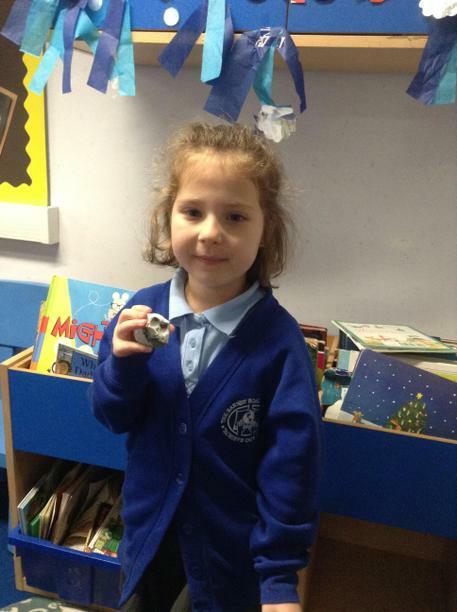 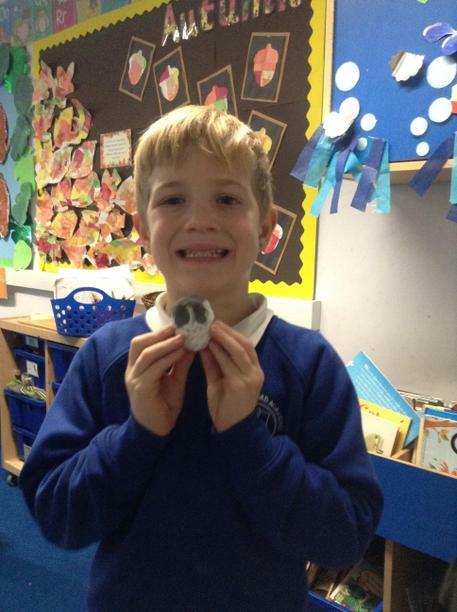 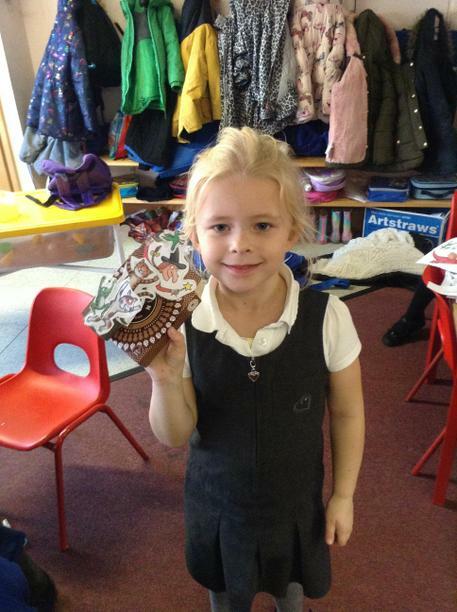 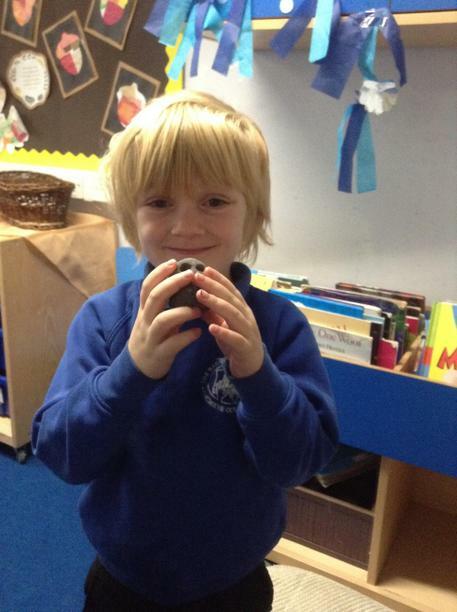 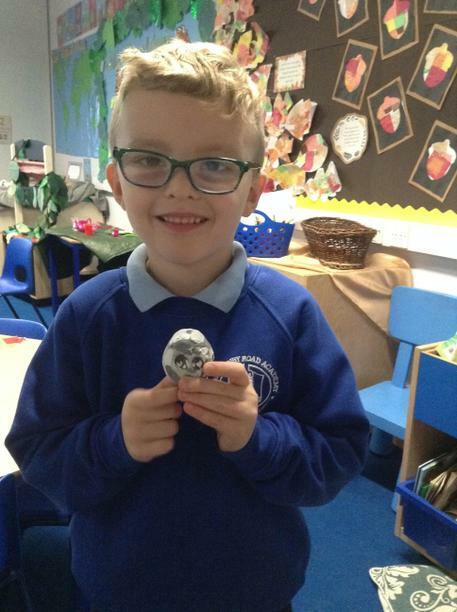 We have been learning about nocturnal animals and made clay models of owls. 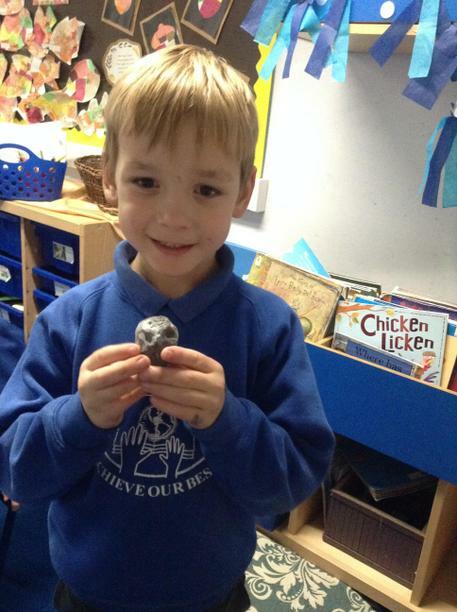 We rolled the clay into a ball, then we made the eye sockets with our fingers. 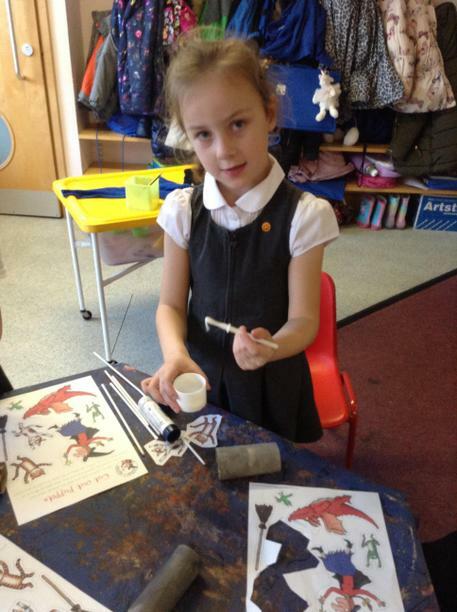 Finally we enjoyed using our clay tools to make the beaks, wings and feathers. 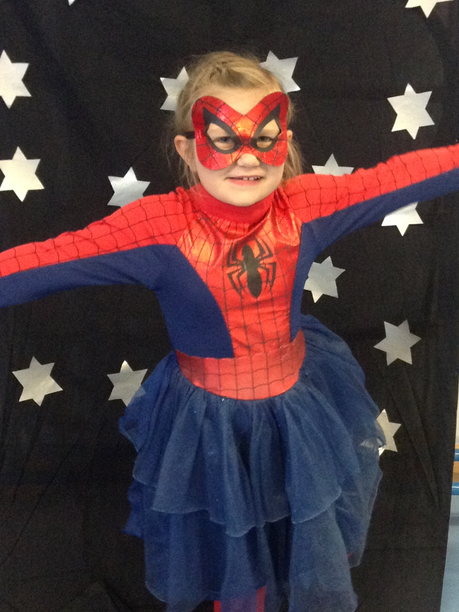 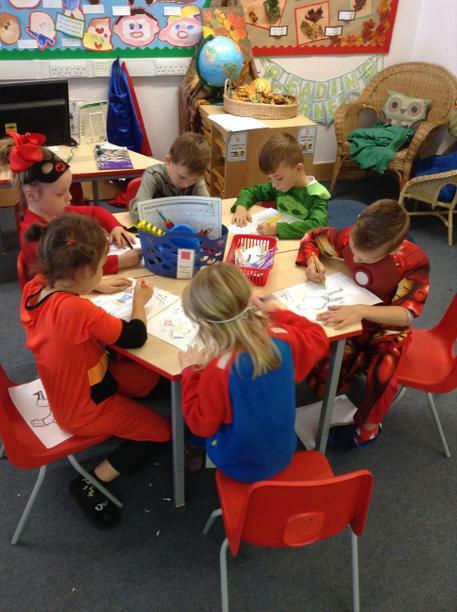 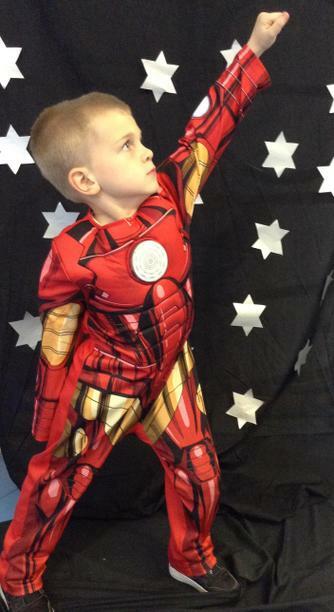 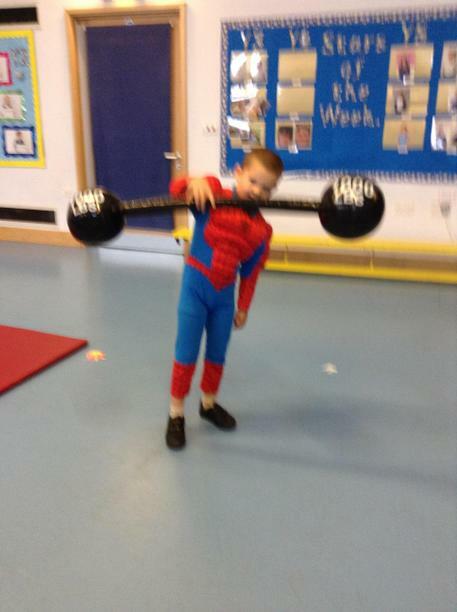 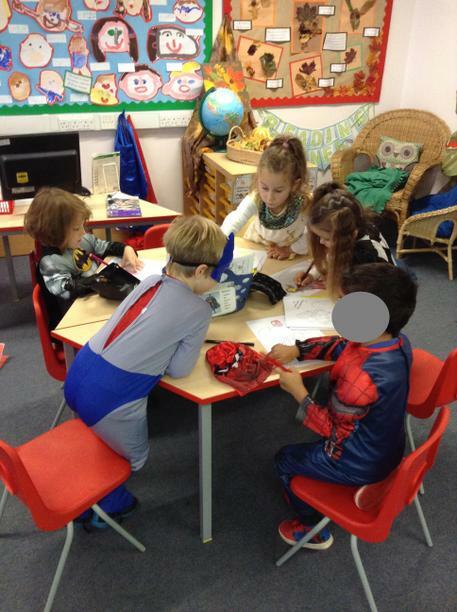 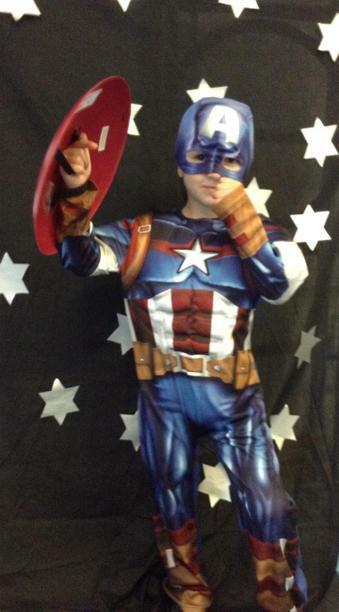 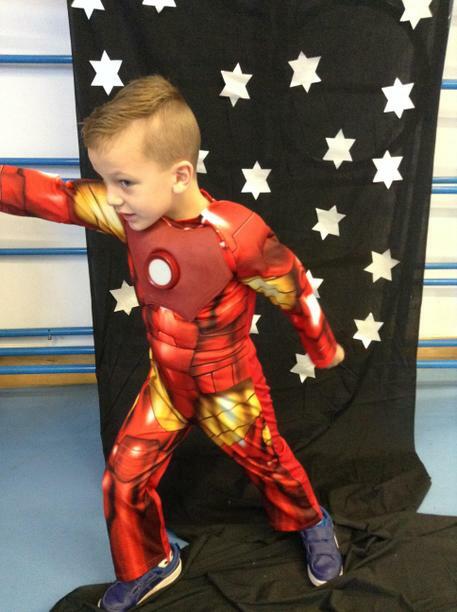 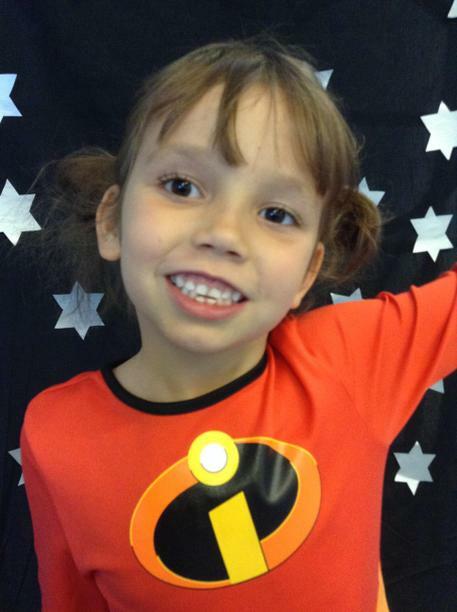 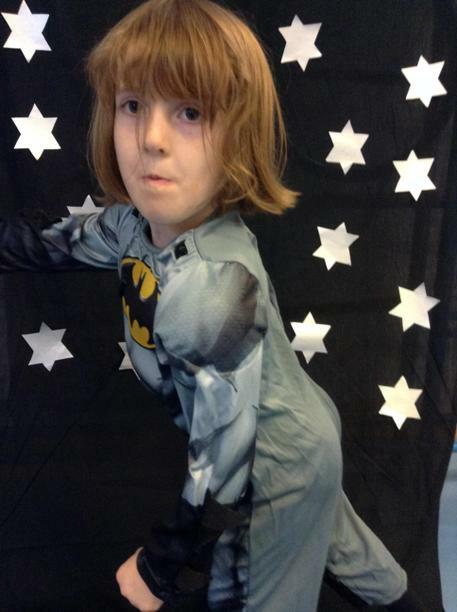 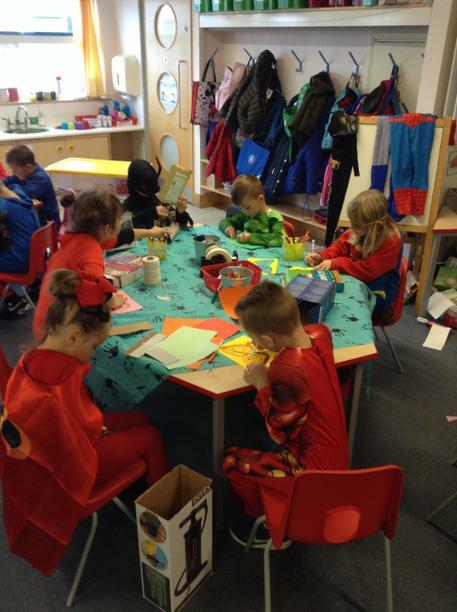 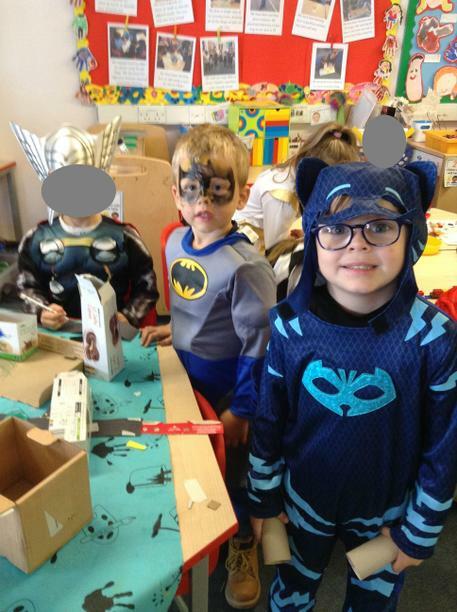 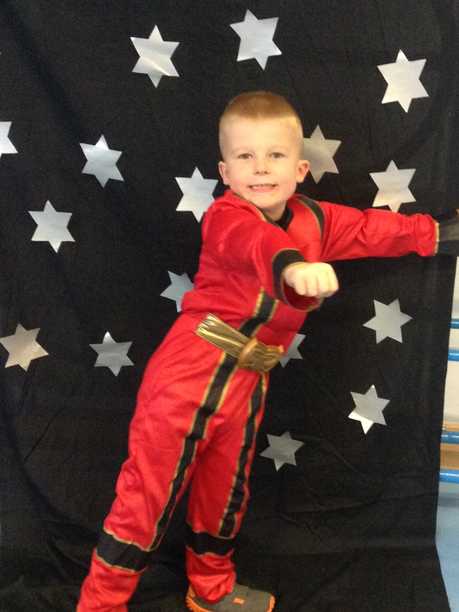 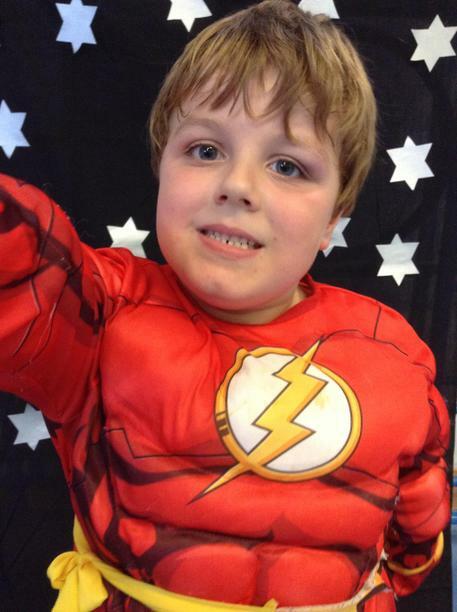 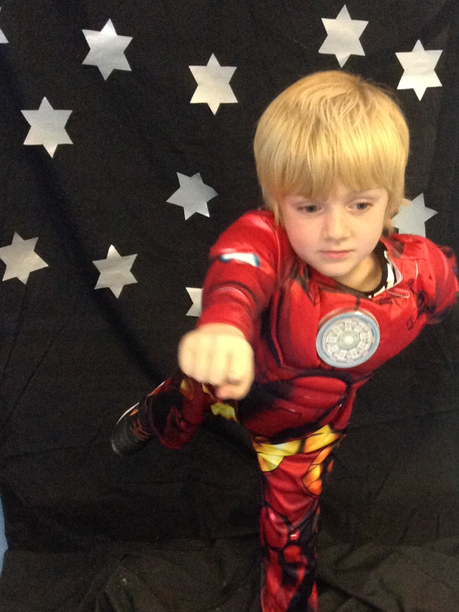 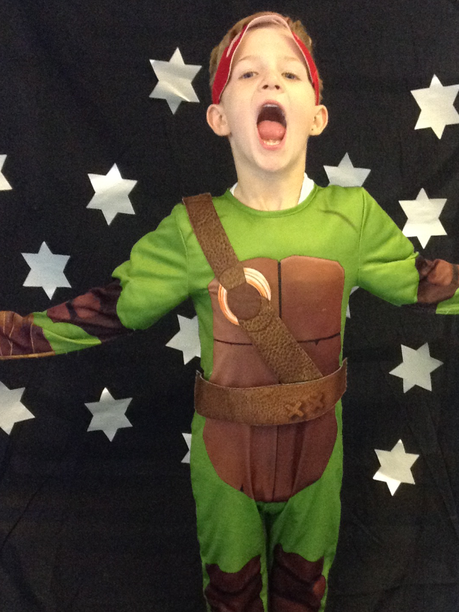 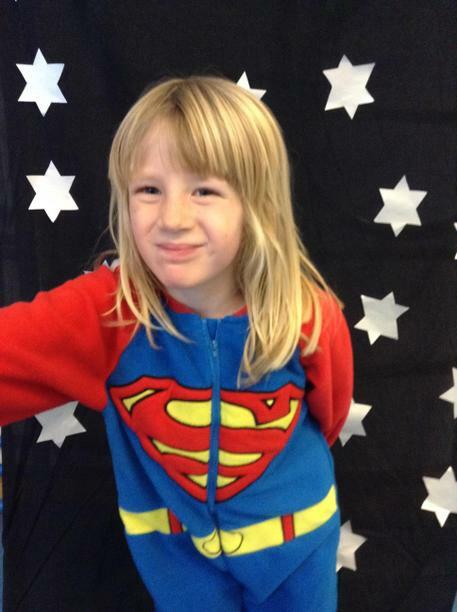 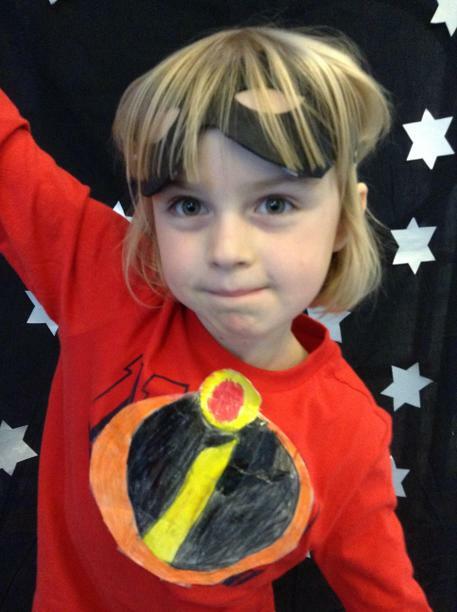 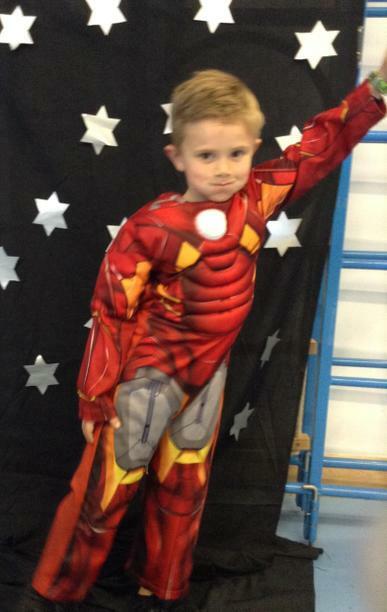 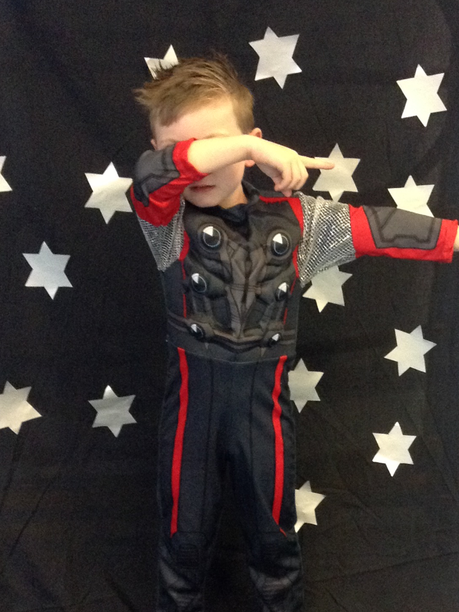 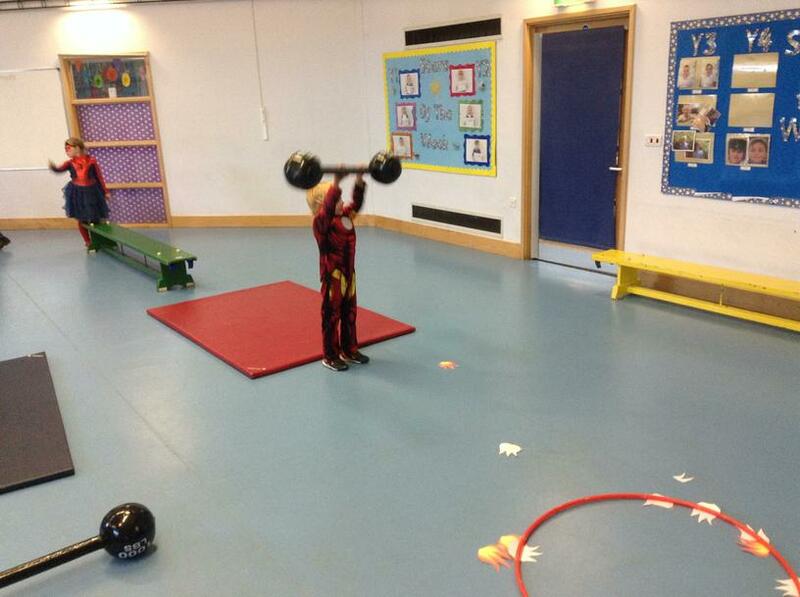 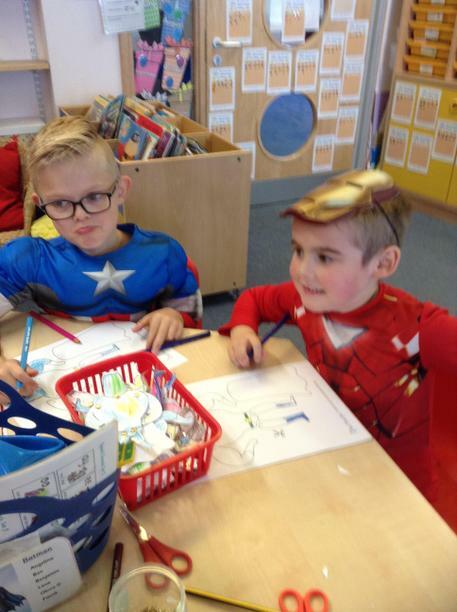 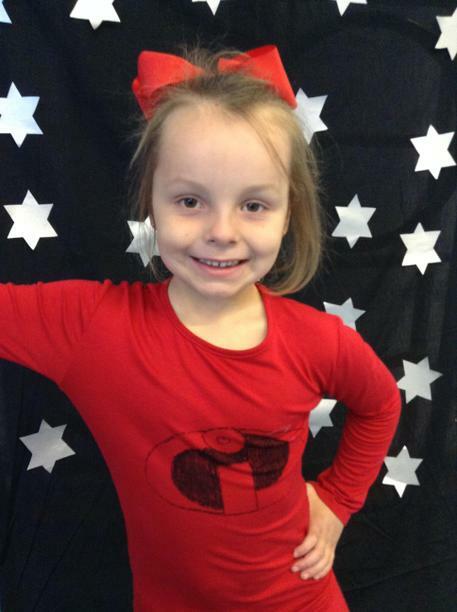 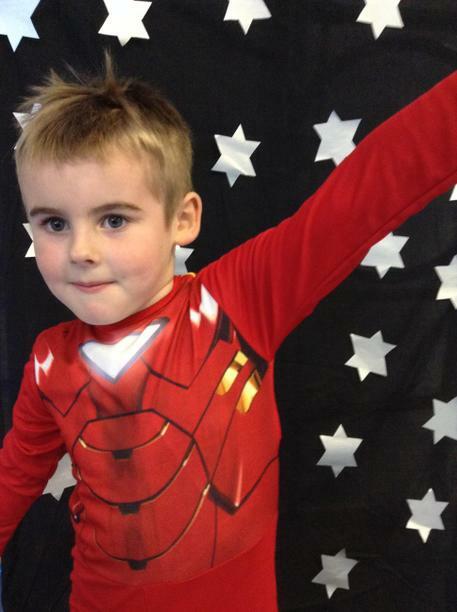 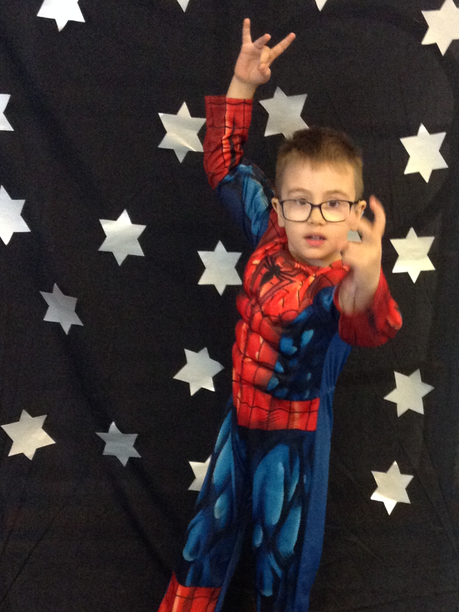 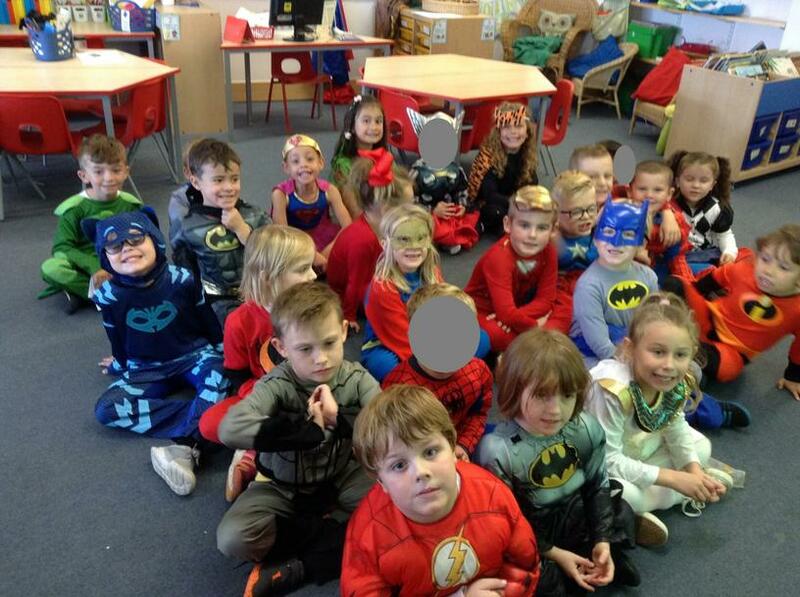 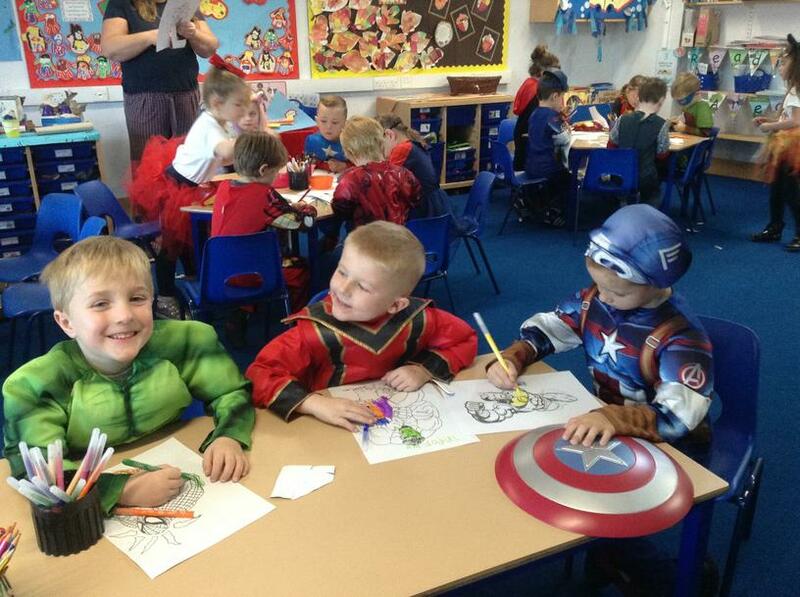 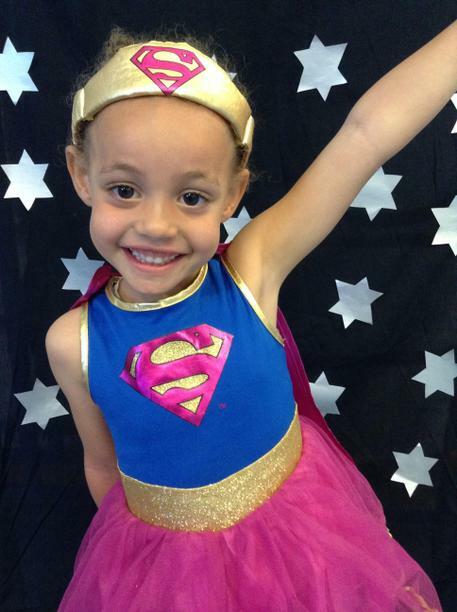 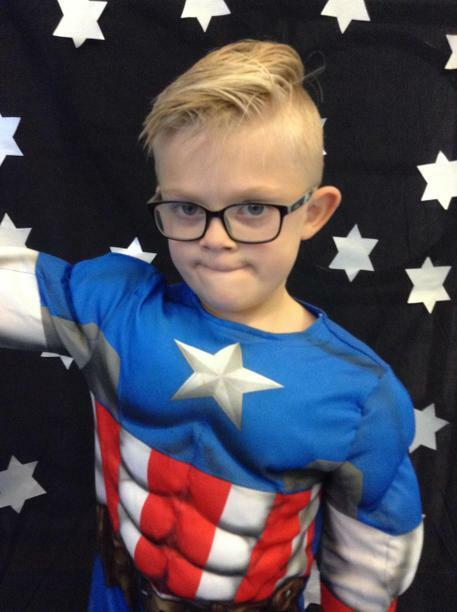 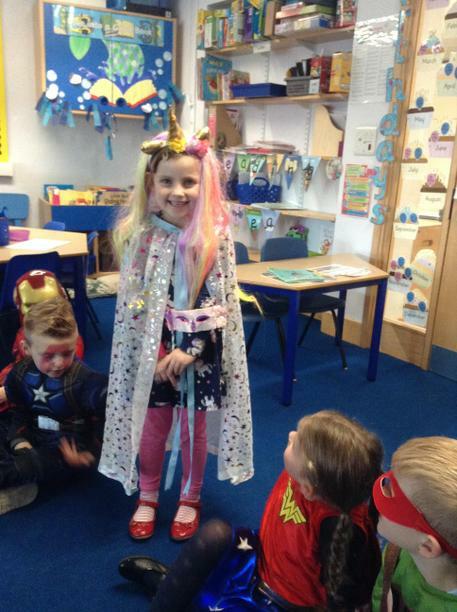 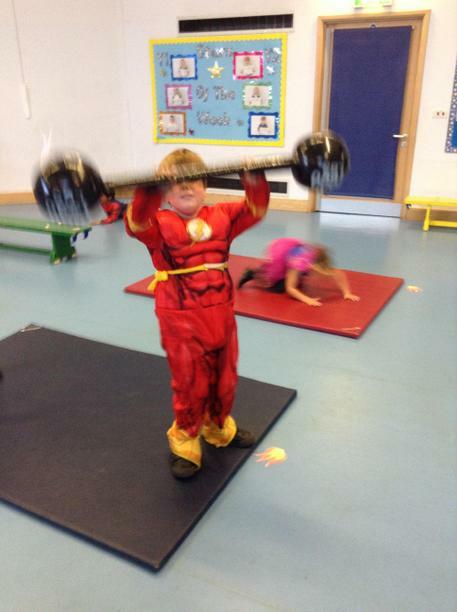 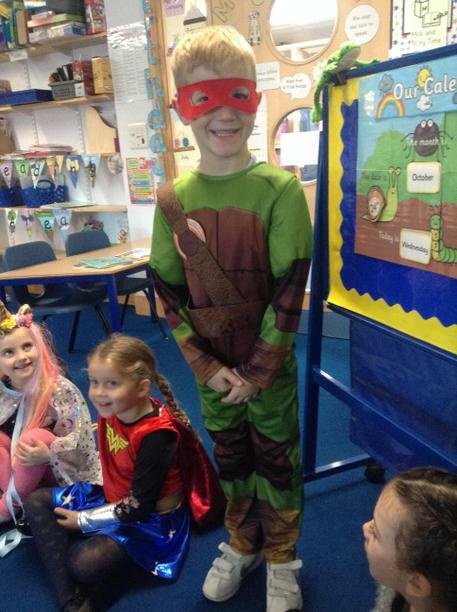 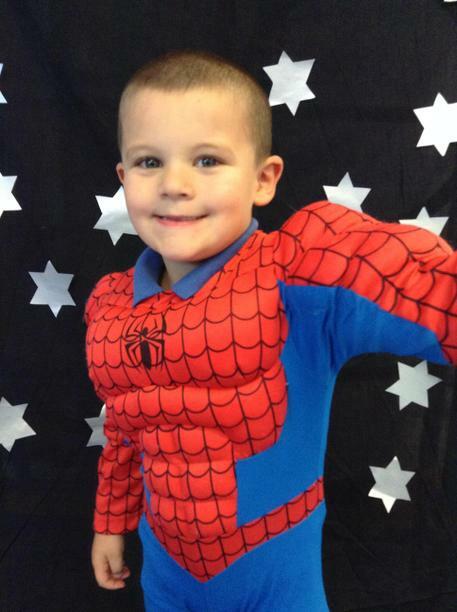 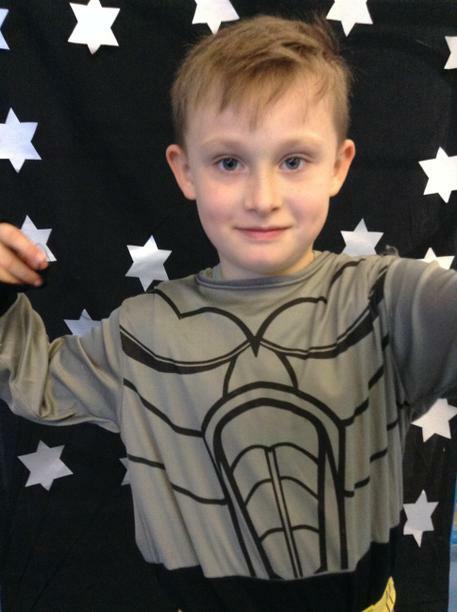 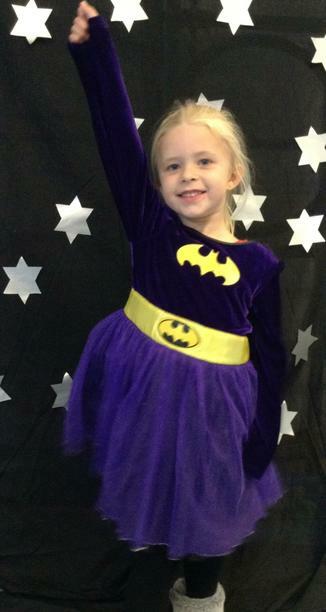 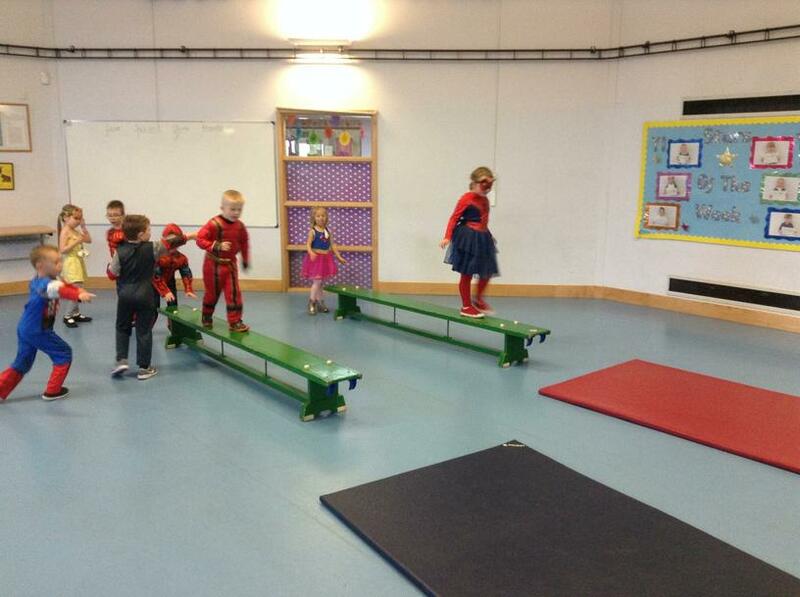 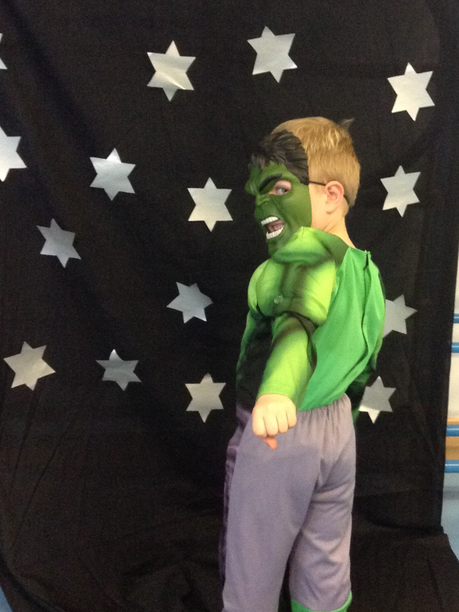 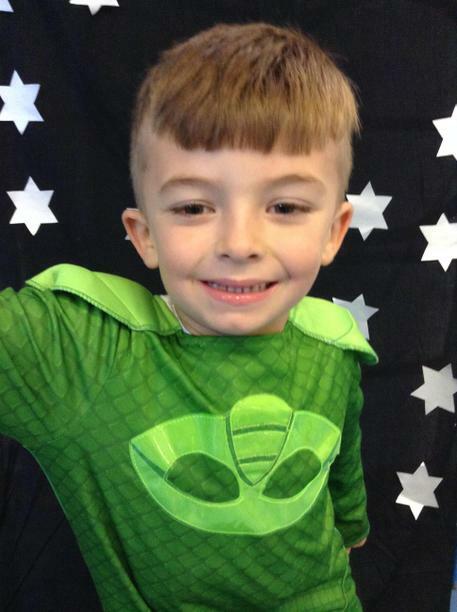 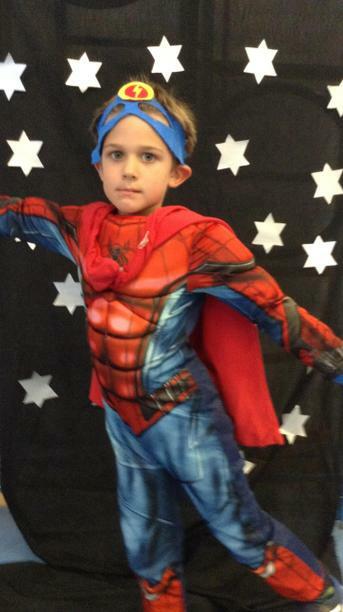 Meerkat class really enjoyed celebrating the end of their Superhero topic with Superhero Day! 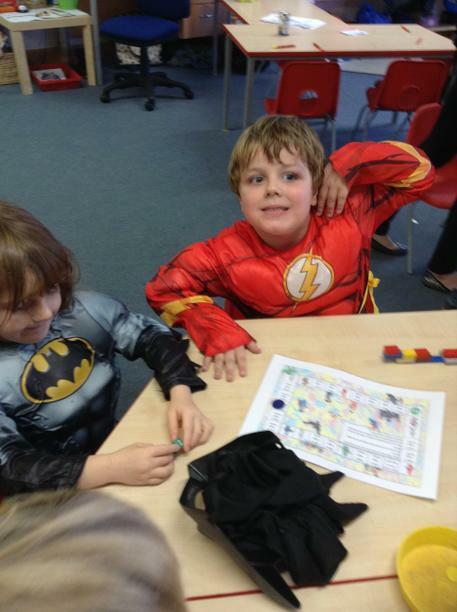 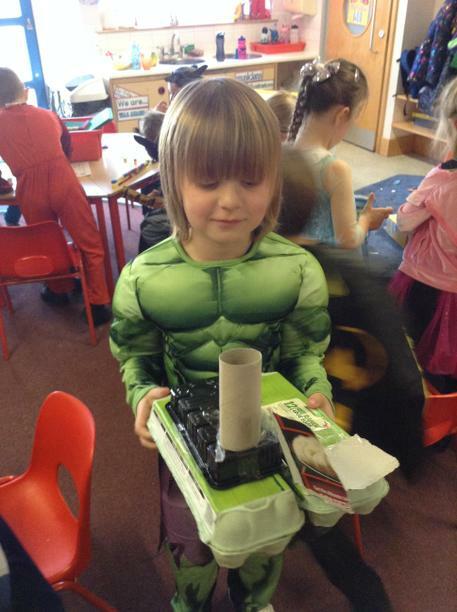 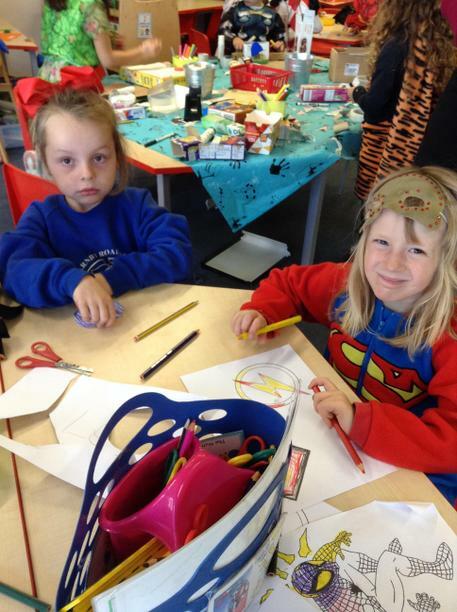 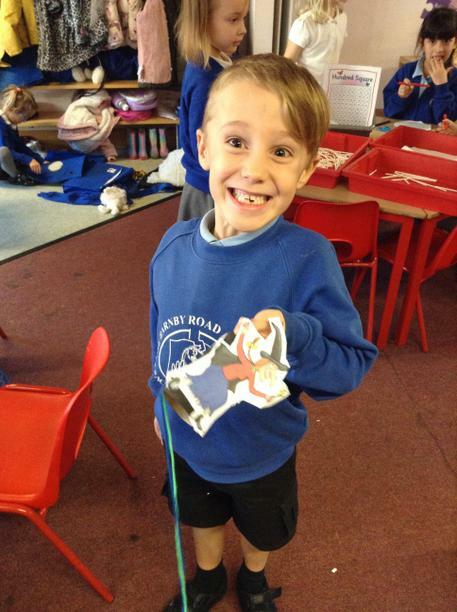 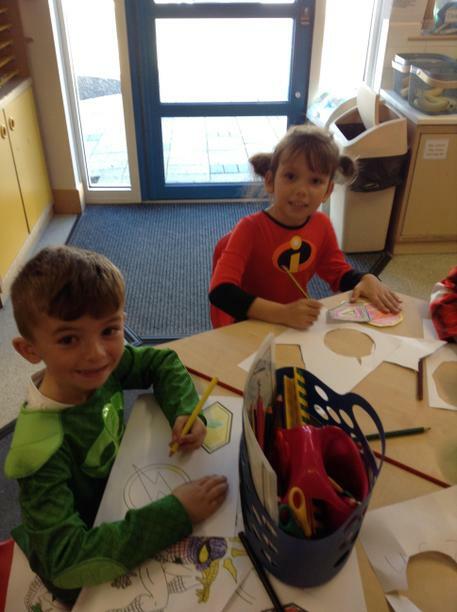 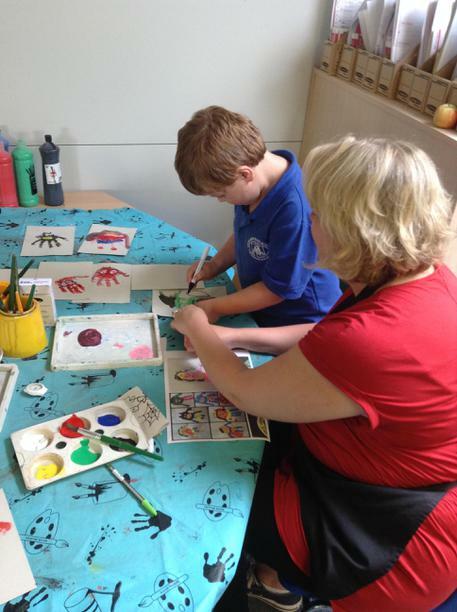 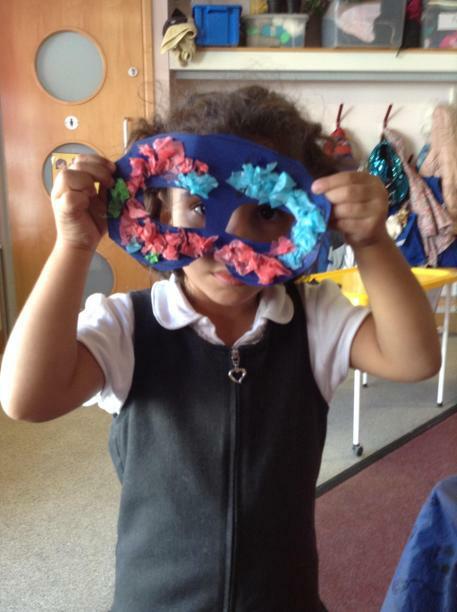 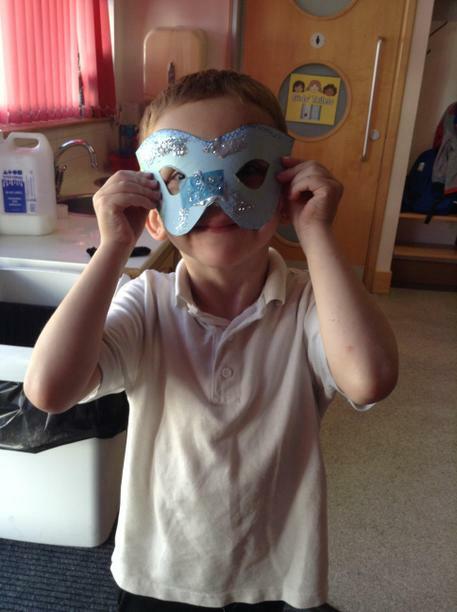 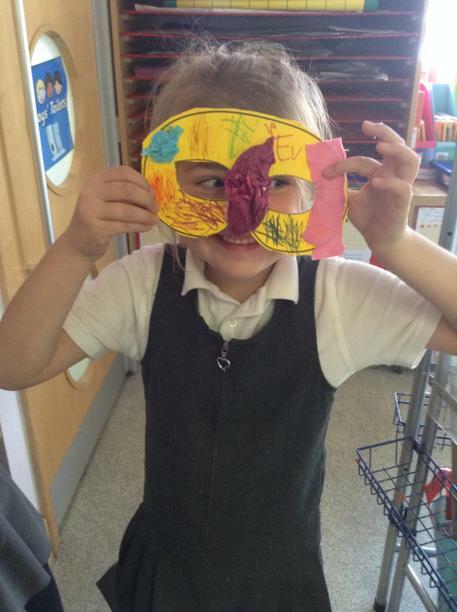 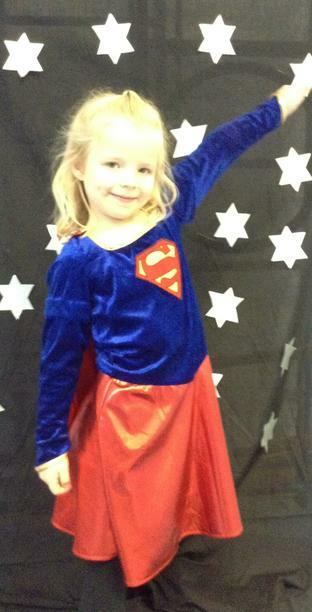 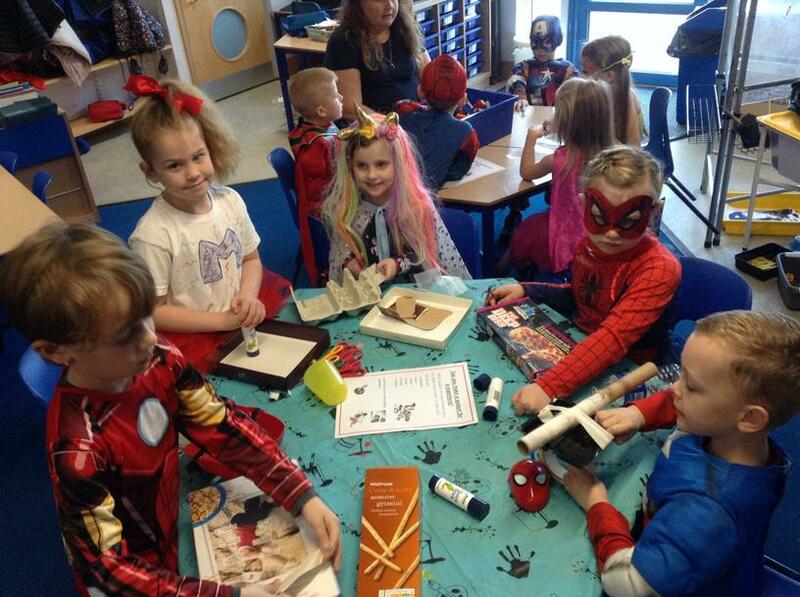 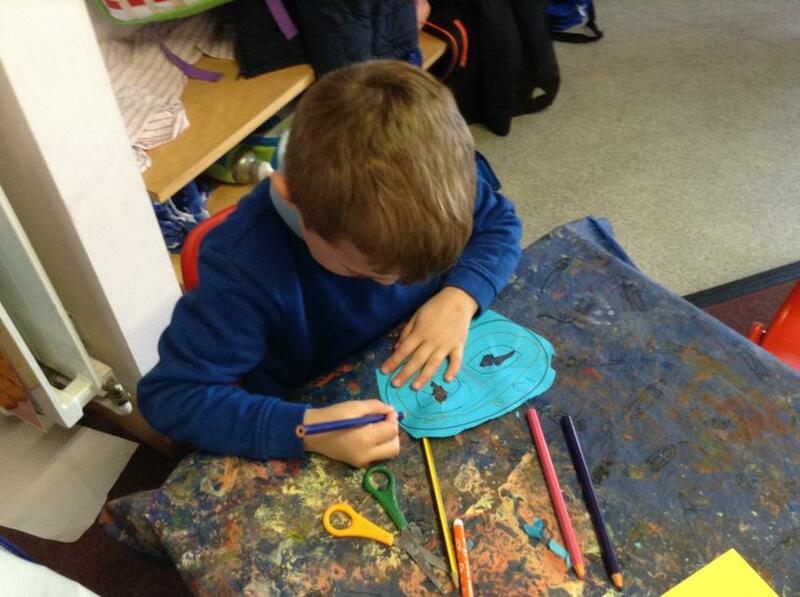 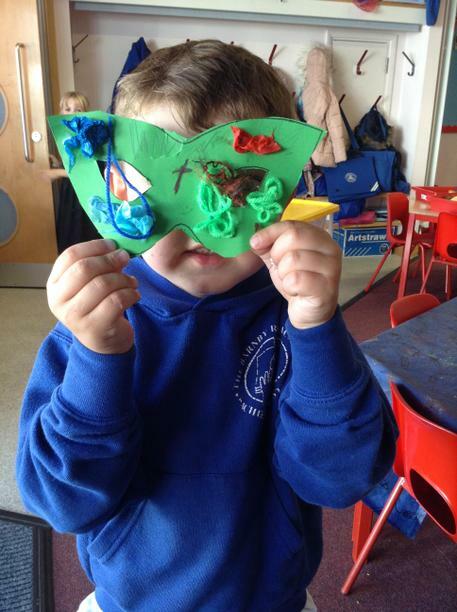 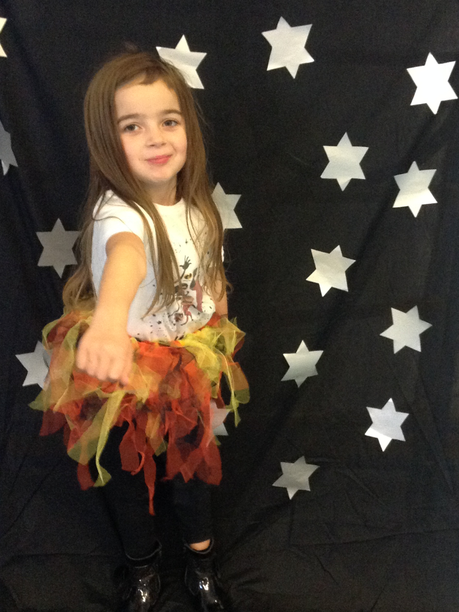 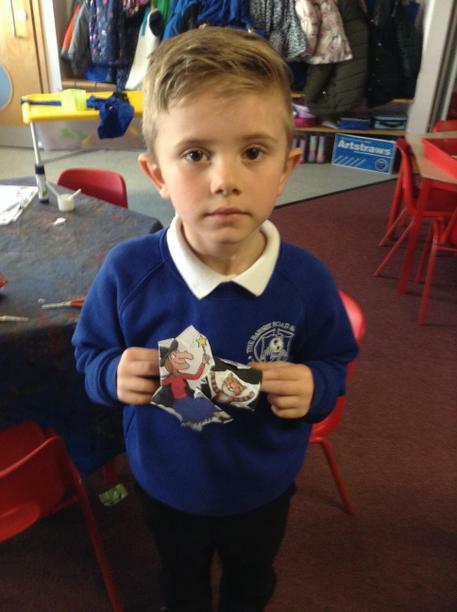 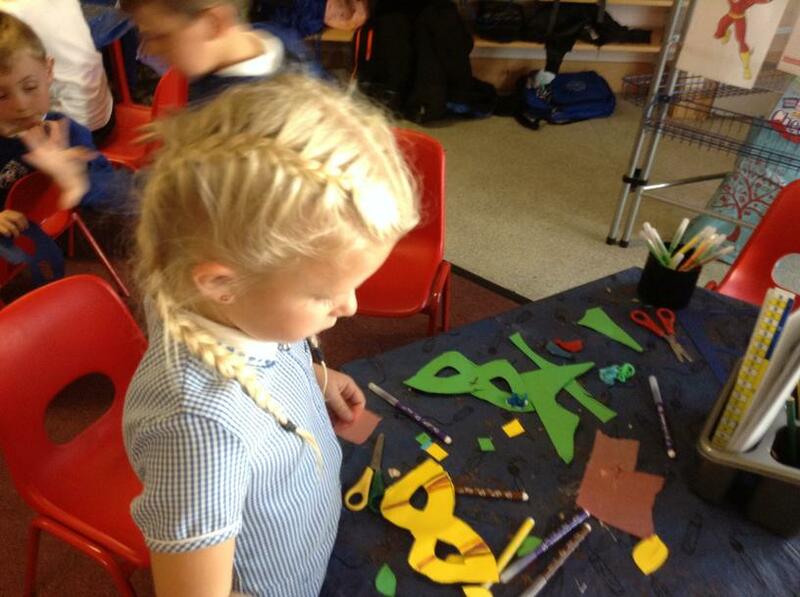 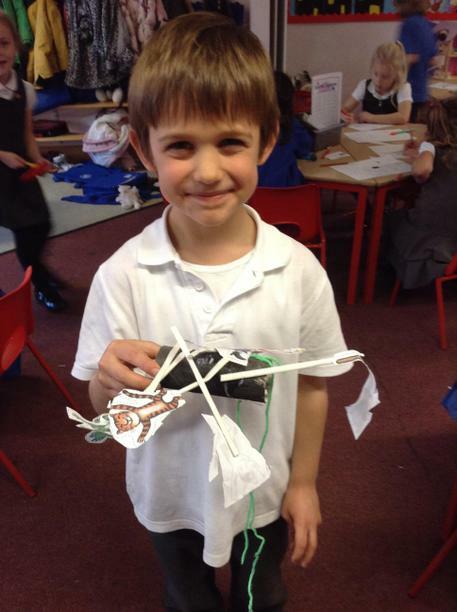 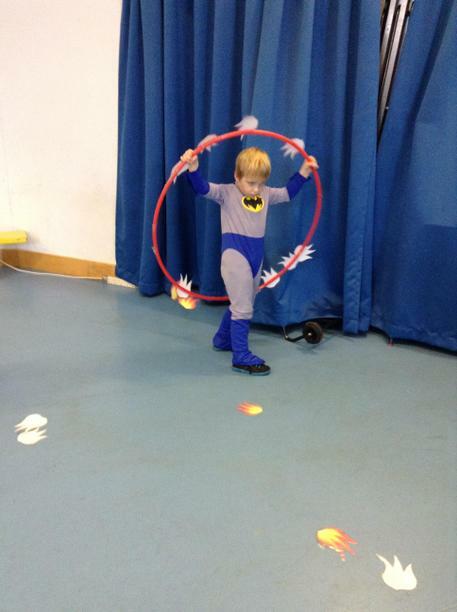 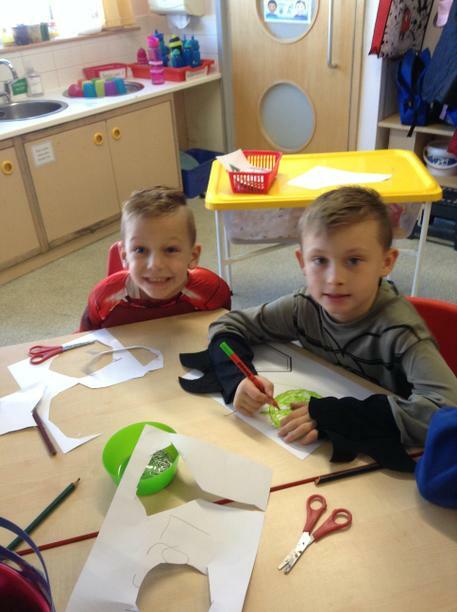 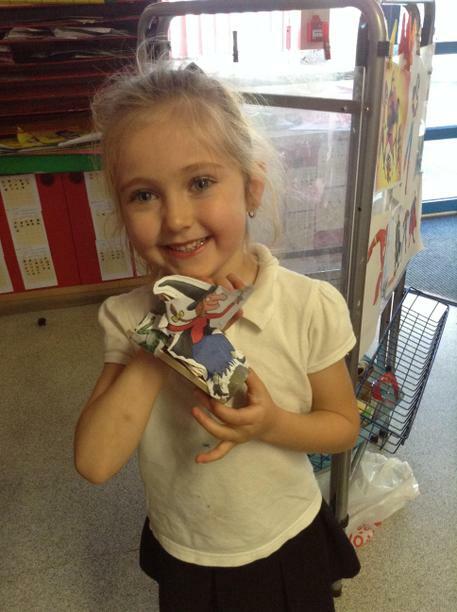 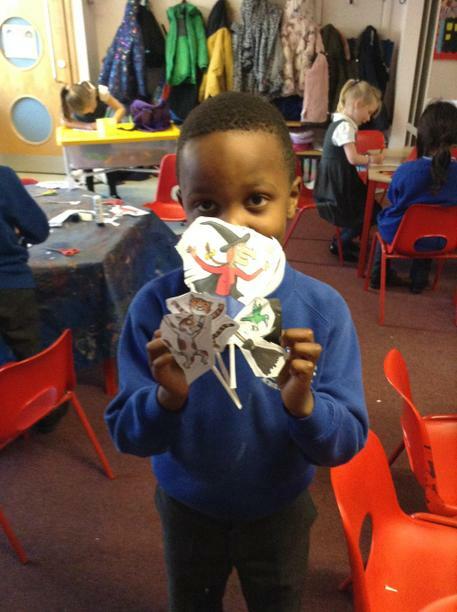 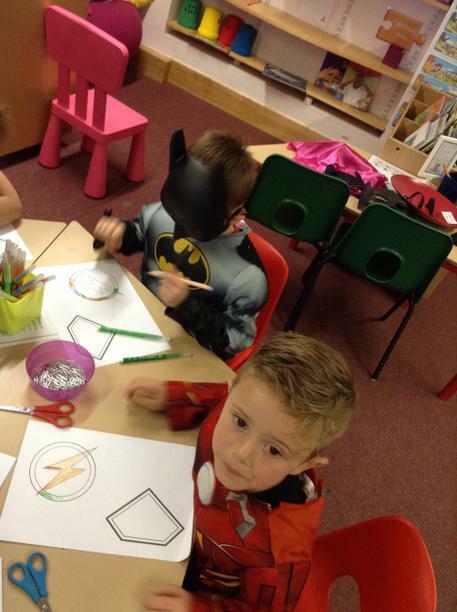 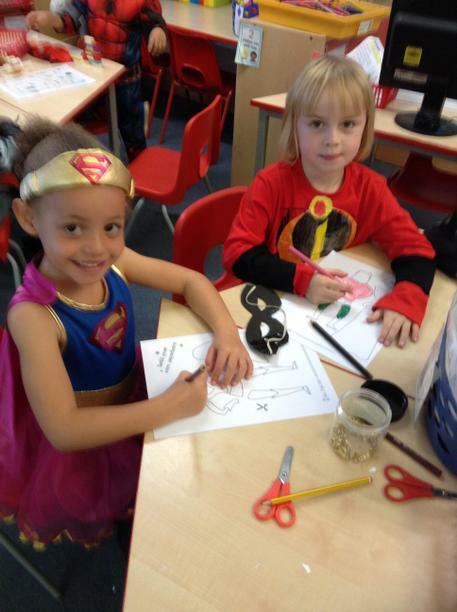 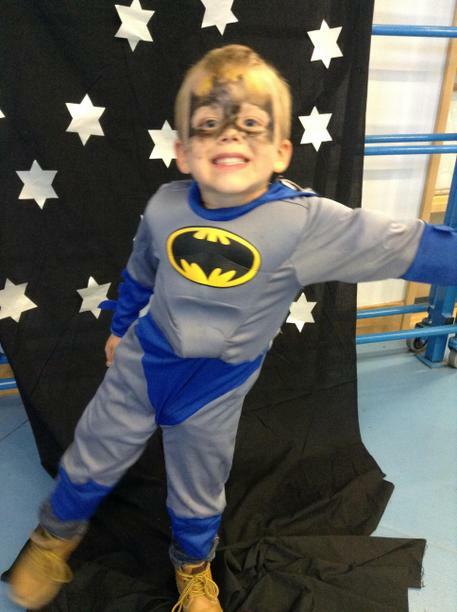 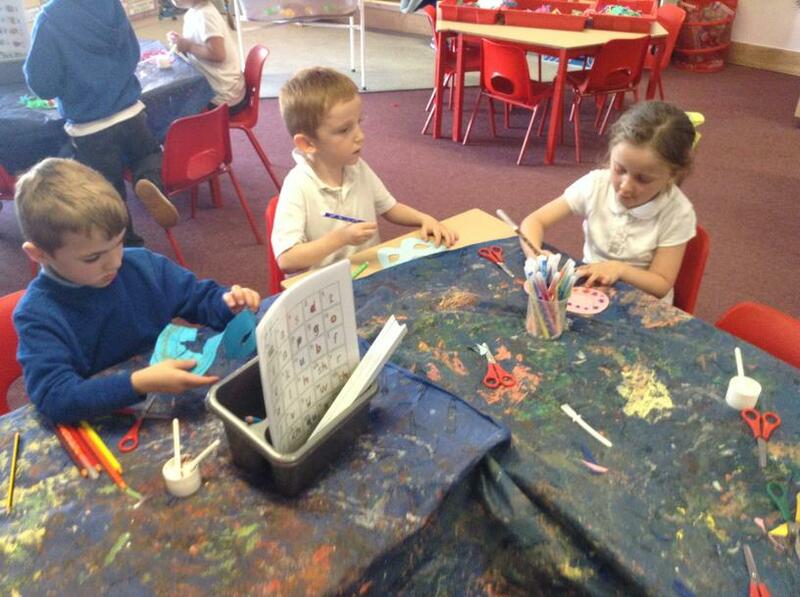 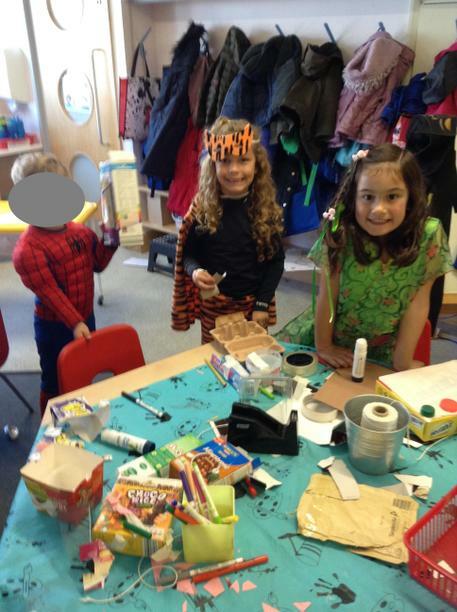 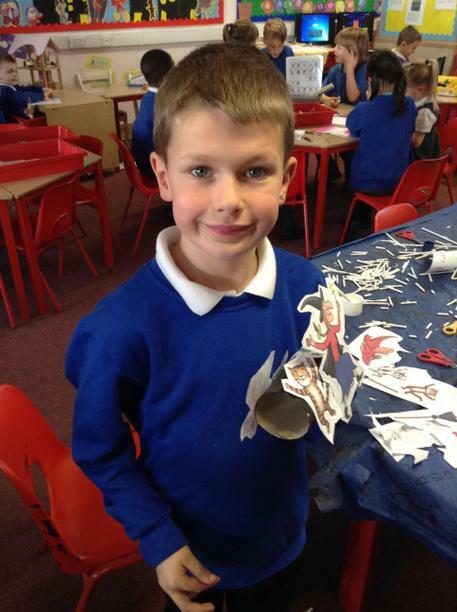 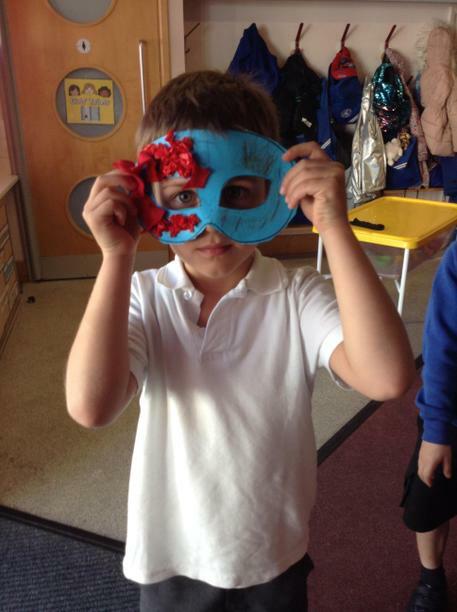 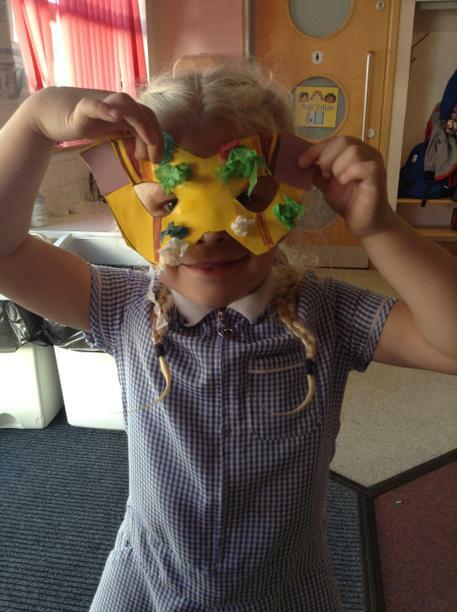 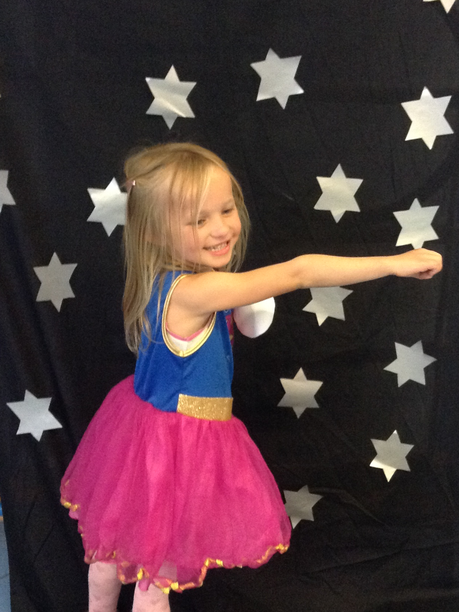 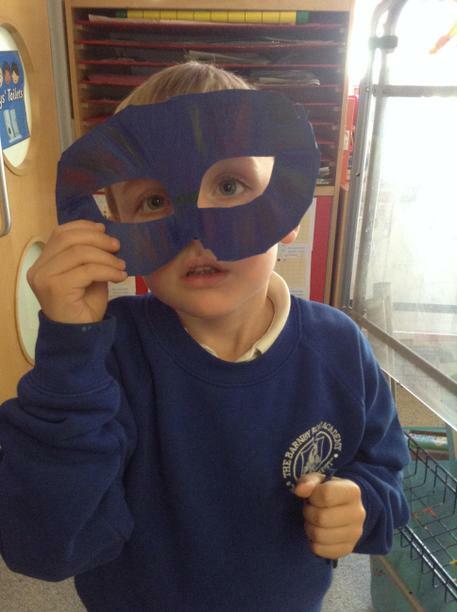 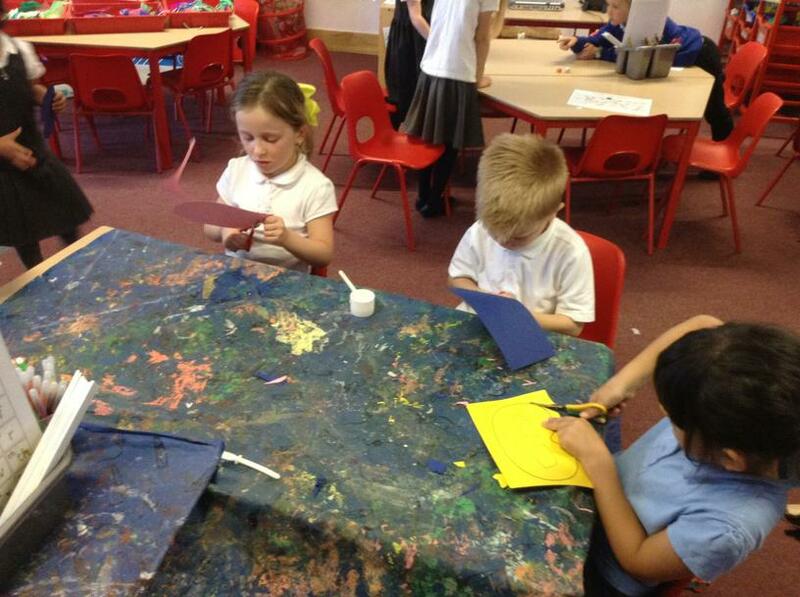 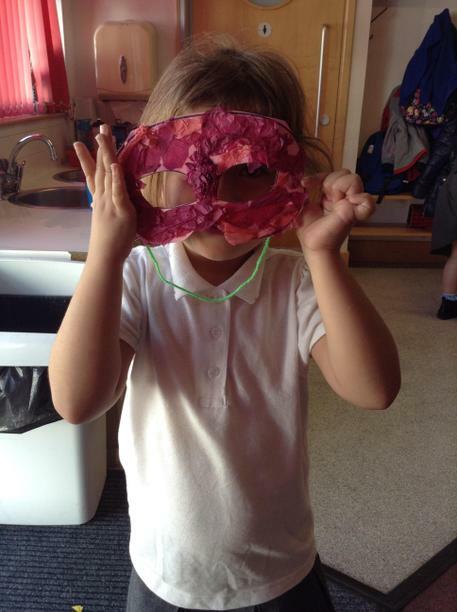 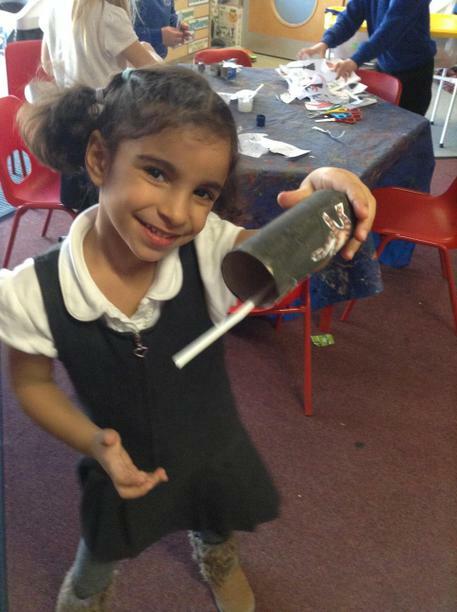 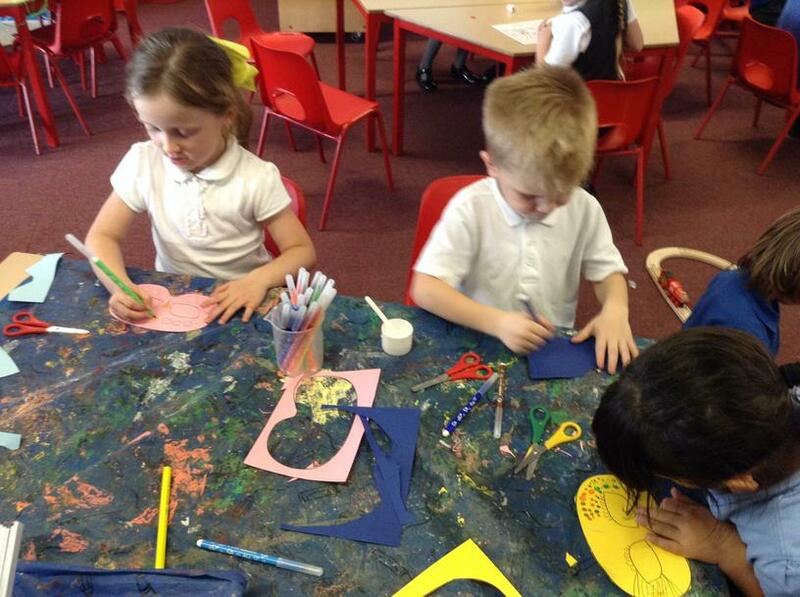 The children enjoyed a morning of craft followed by an afternoon of Superhero activities! 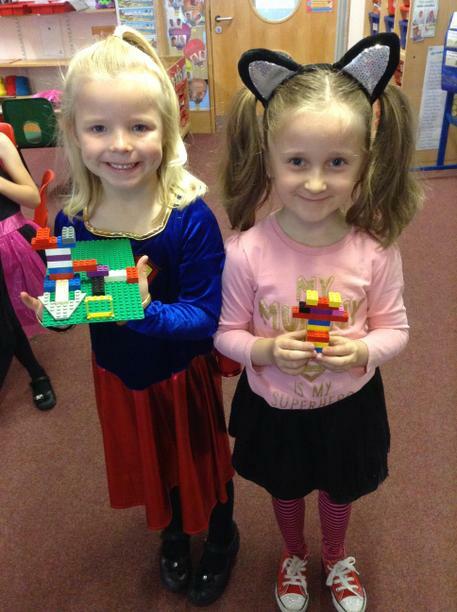 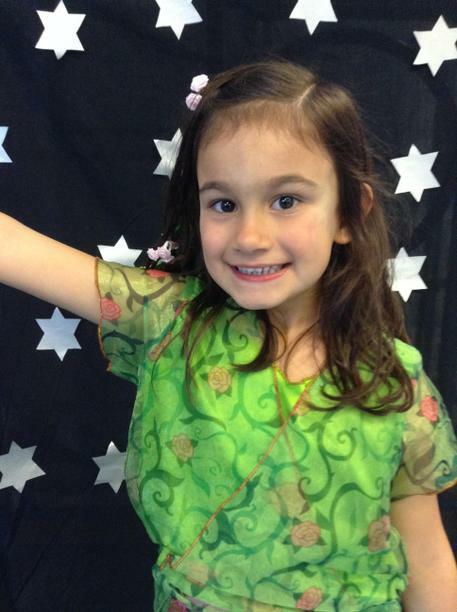 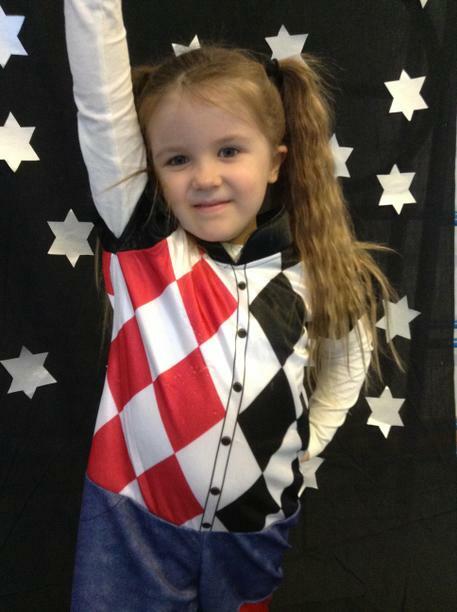 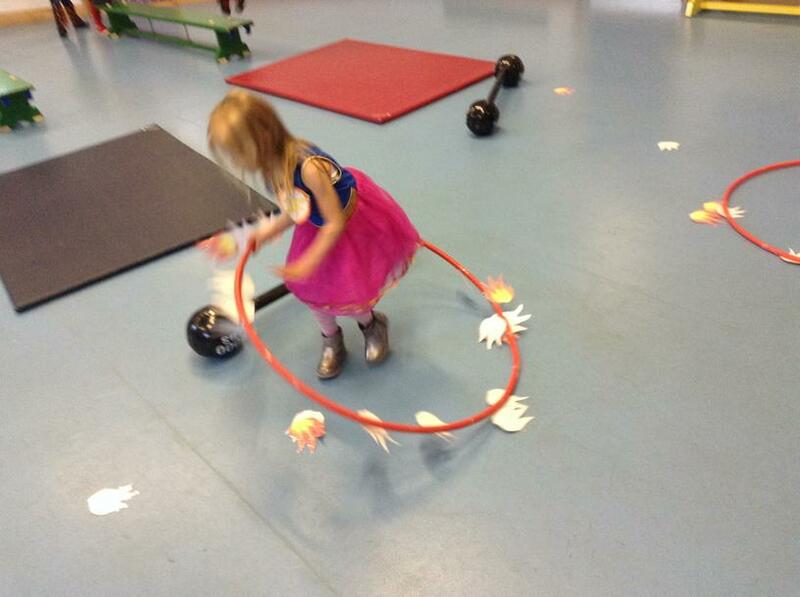 Thank you to all for sending your children in such creative costumes! 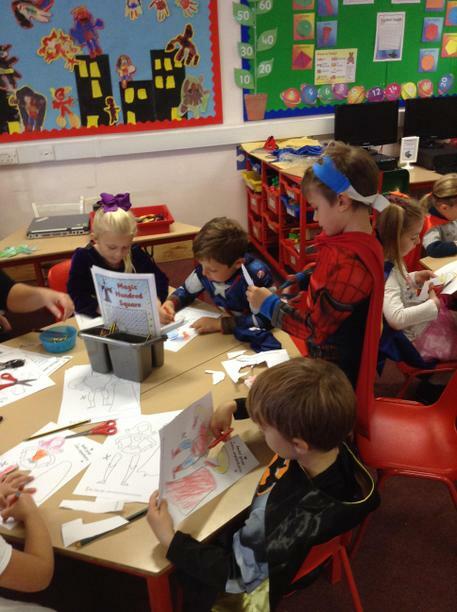 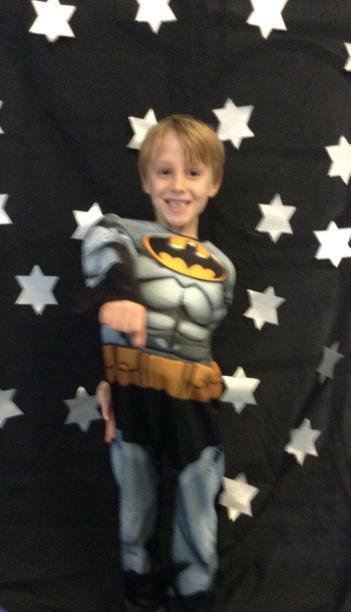 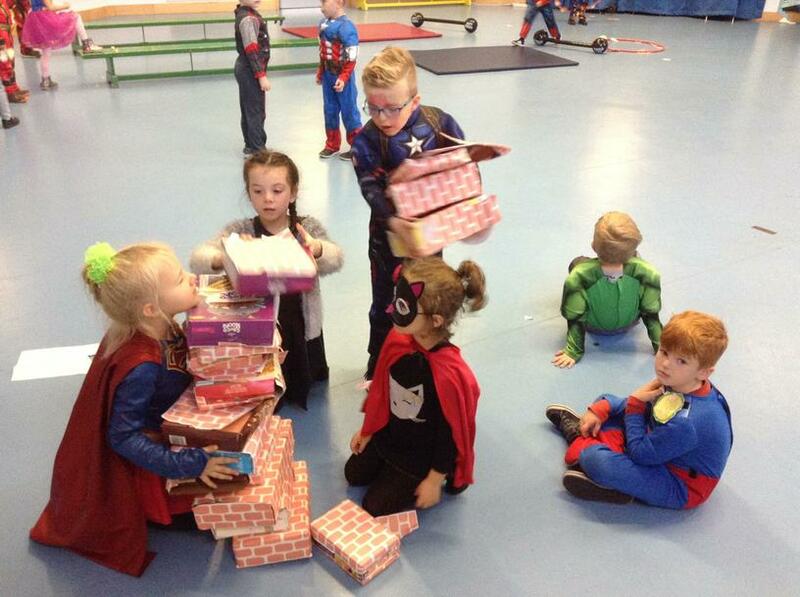 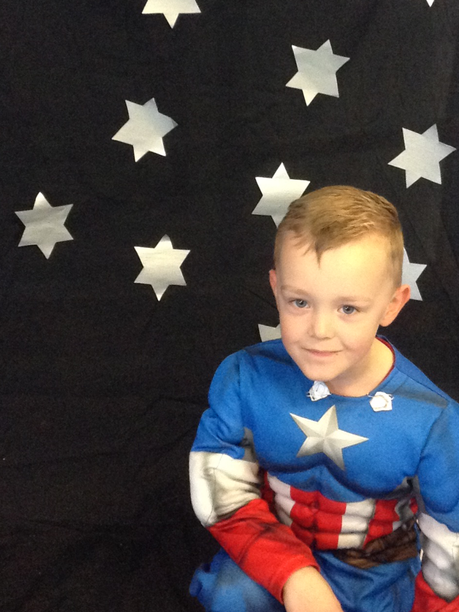 Tiger class had a wonderful day celebrating the end of their Superhero topic. 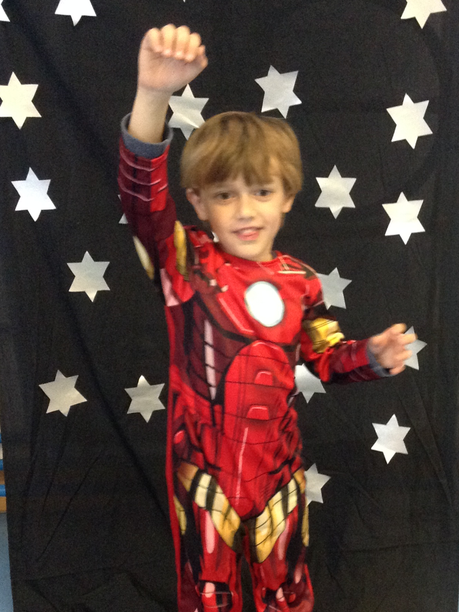 Thank you to all our parents for making an amazing effort to send your children in such fabulous costumes. 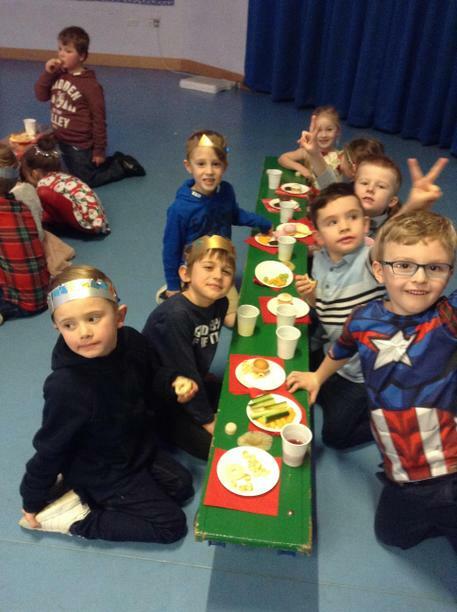 The children and staff had the best day. 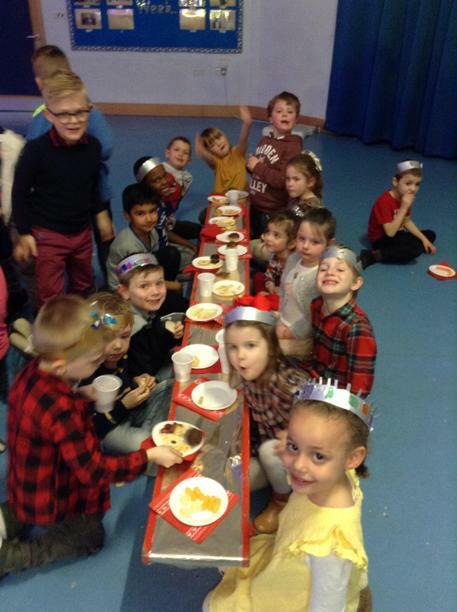 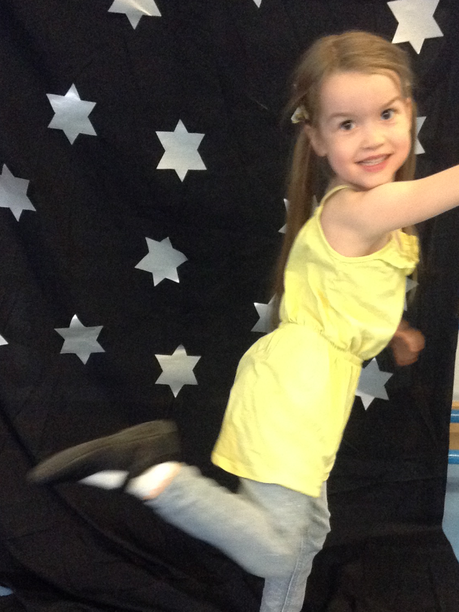 Take a look at our photos to see just how much fun we had! 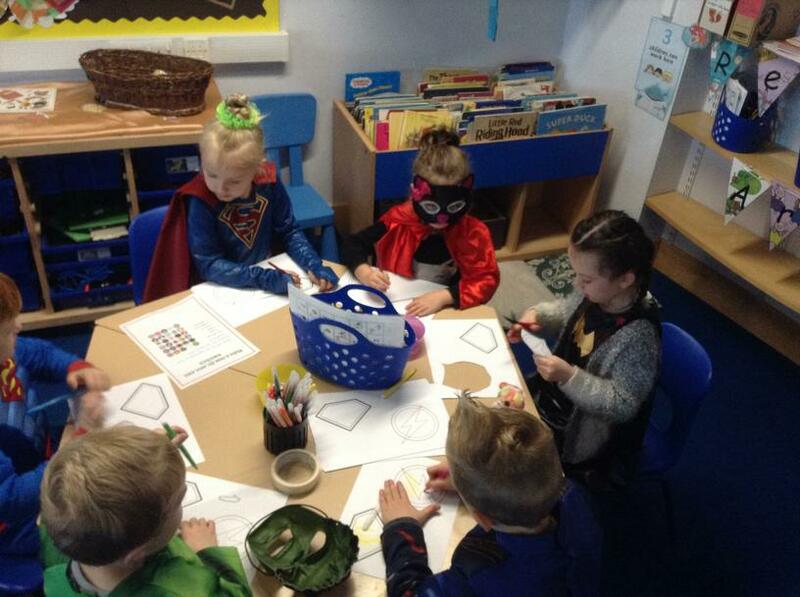 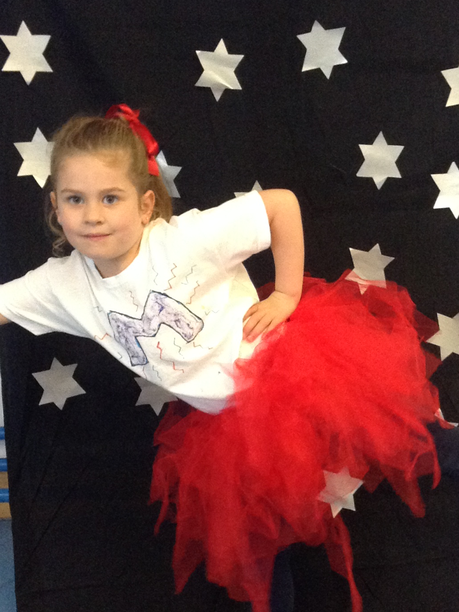 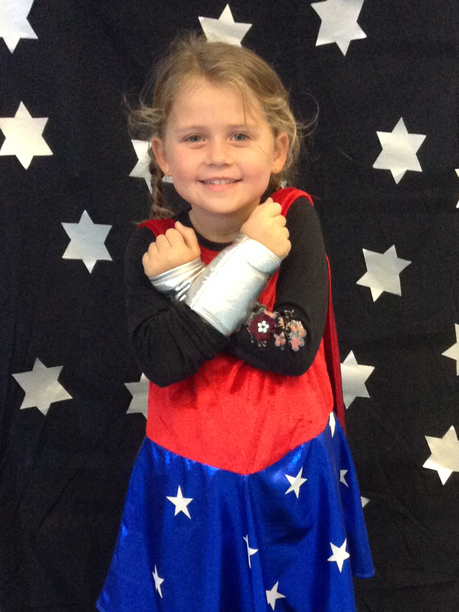 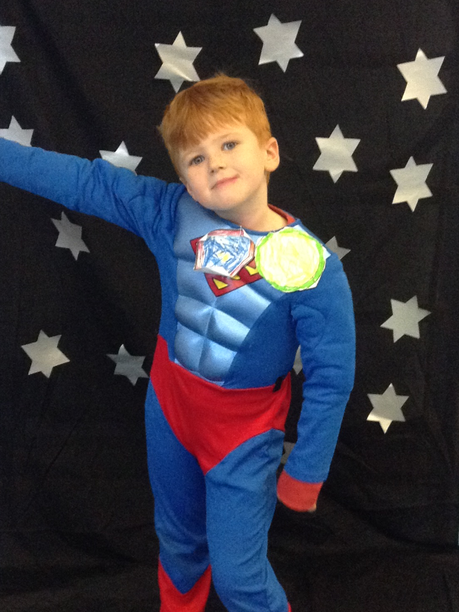 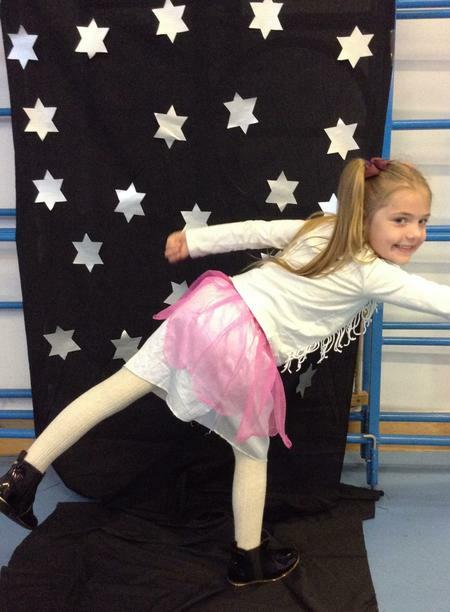 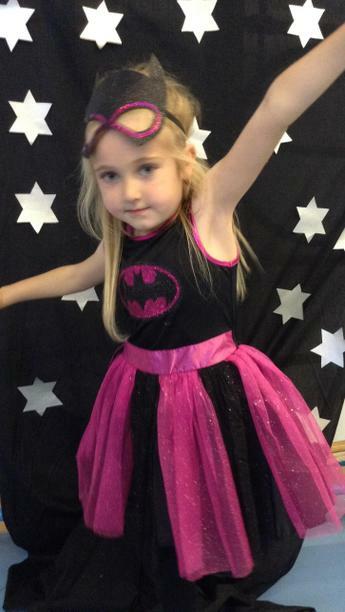 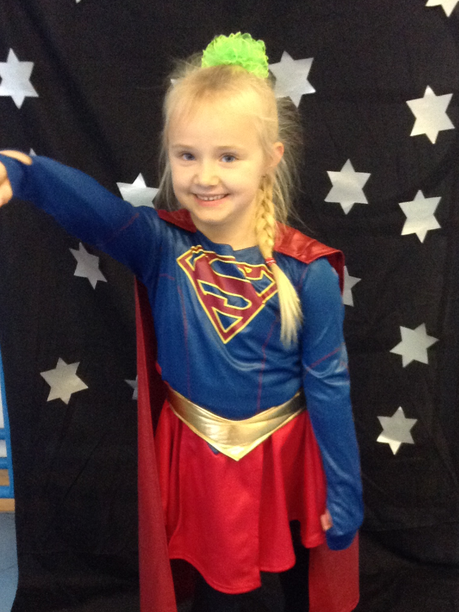 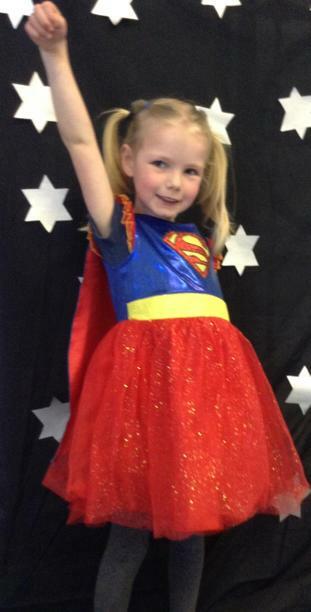 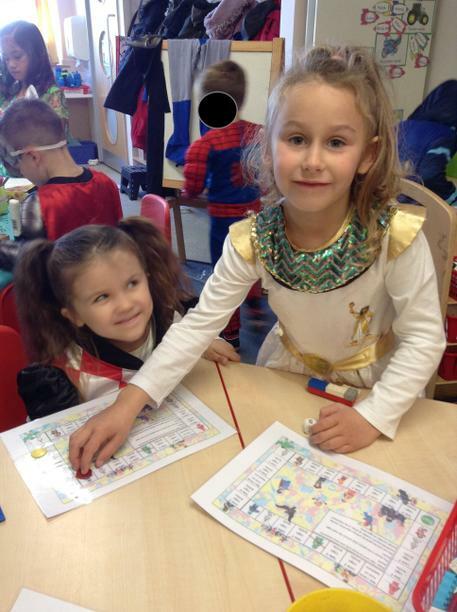 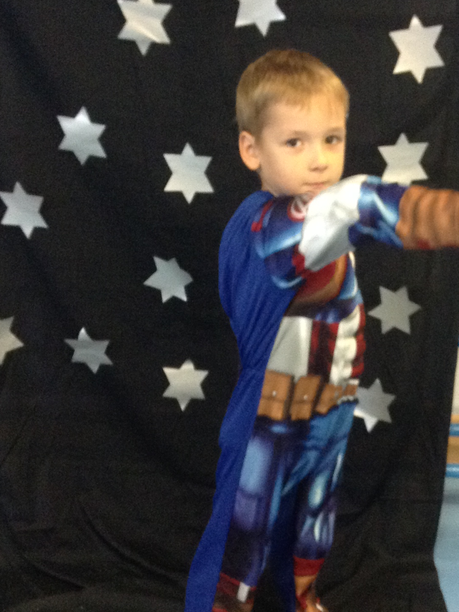 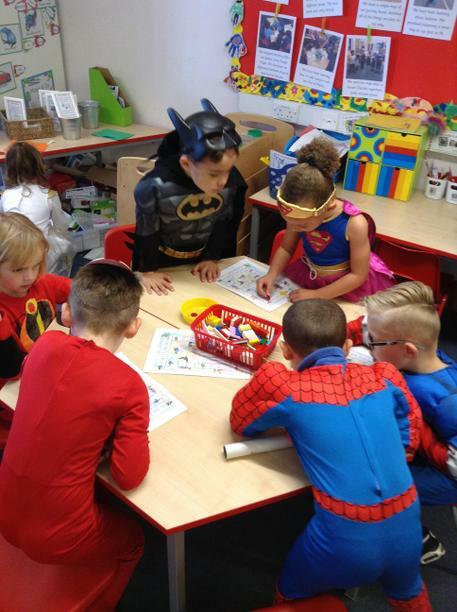 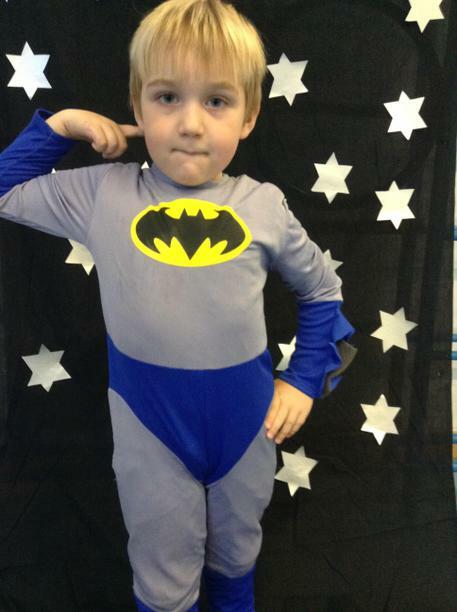 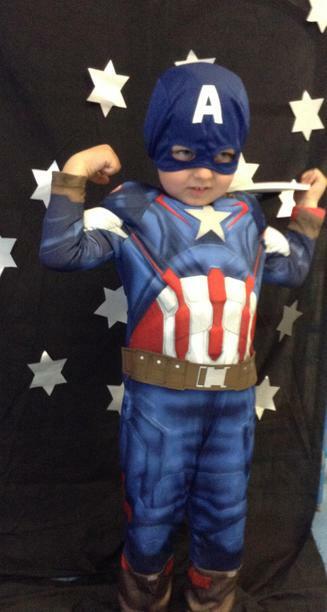 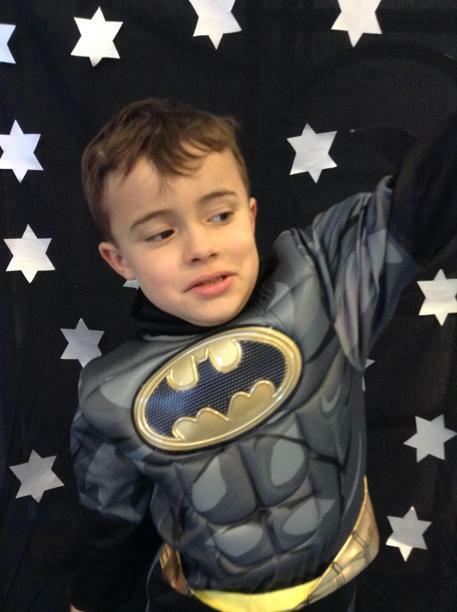 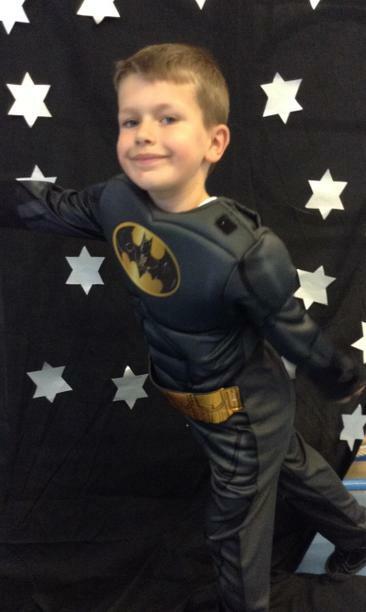 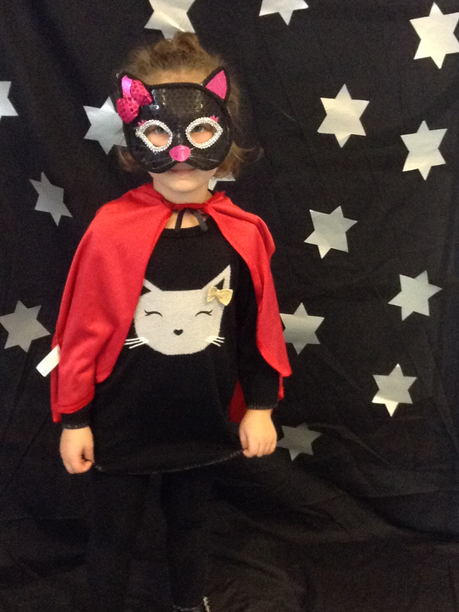 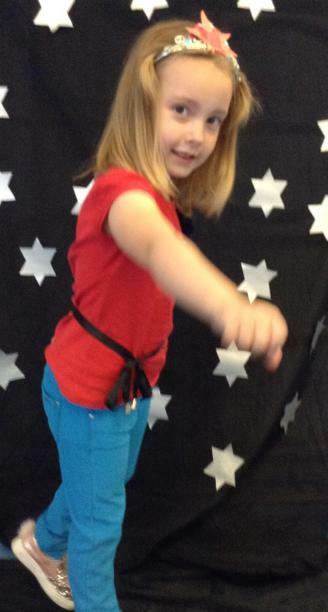 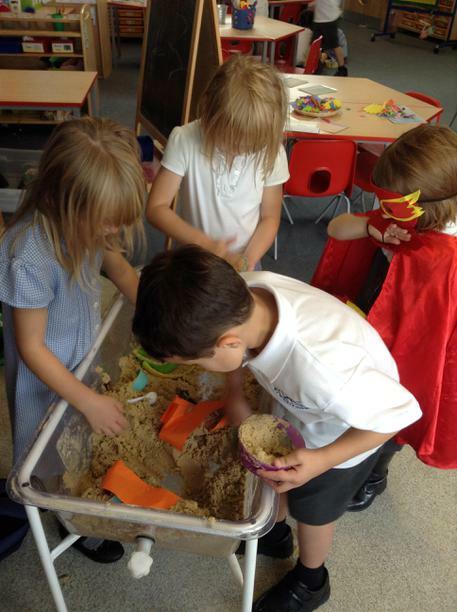 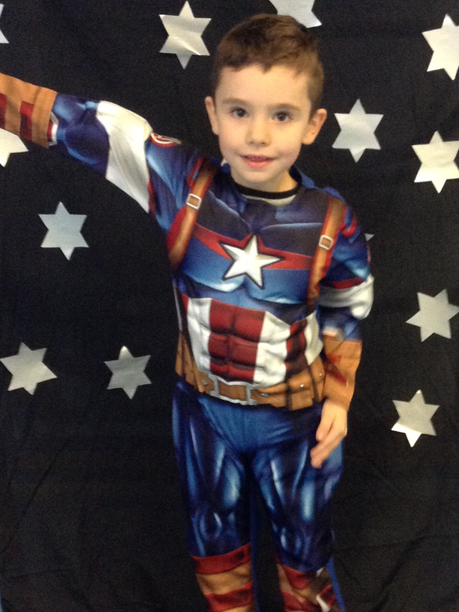 To celebrate the end of our first topic, Year 1 had a Superhero day. 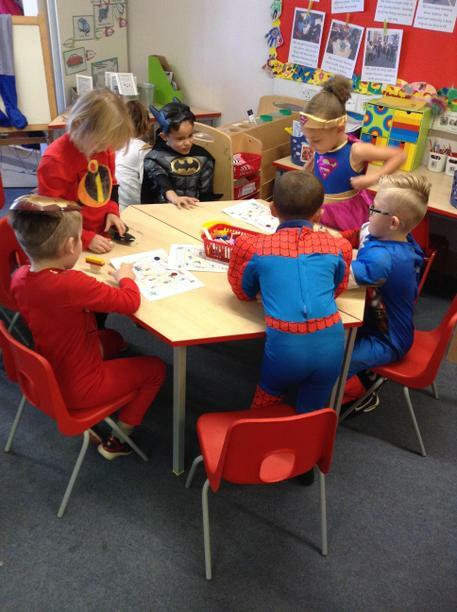 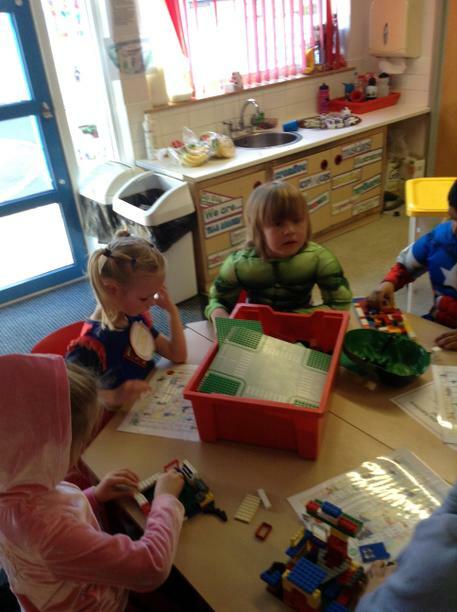 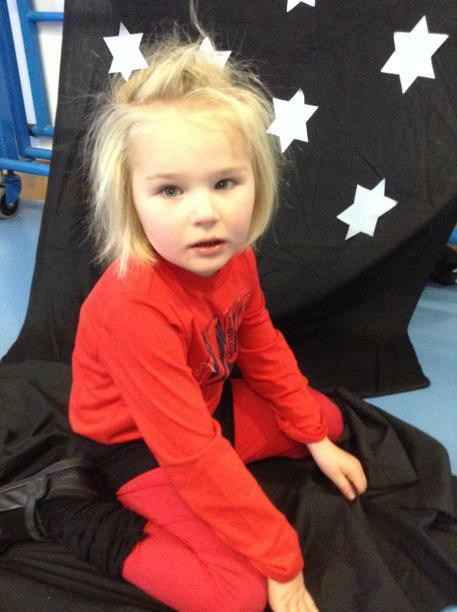 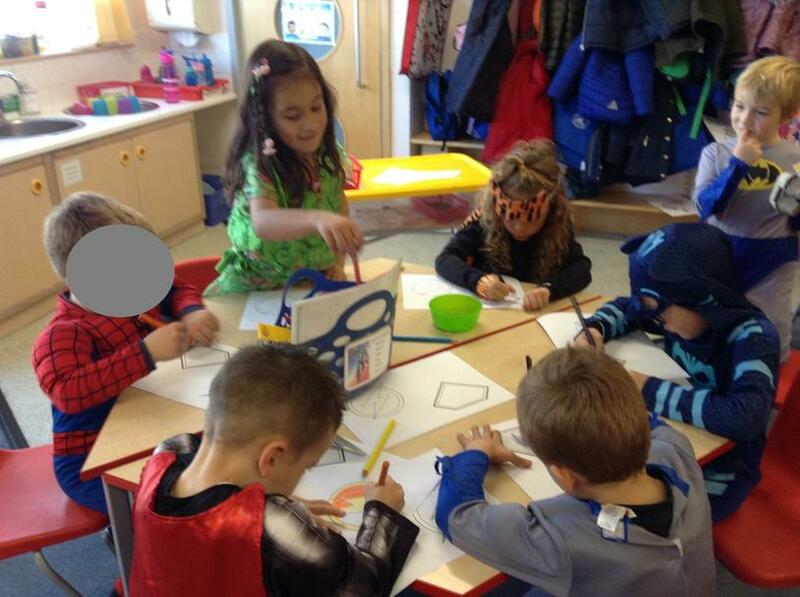 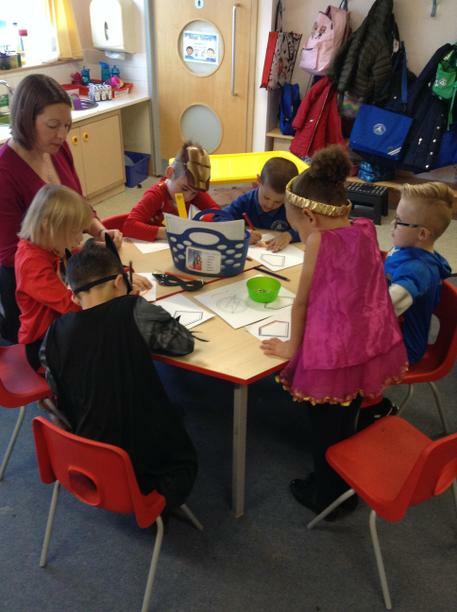 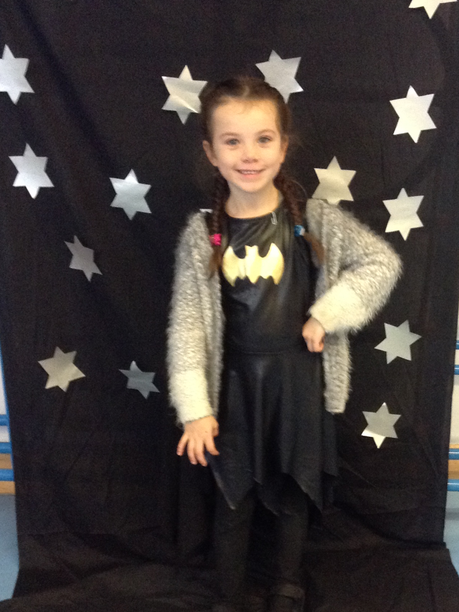 We all came to school dressed as Superheroes and all the children looked great in their outfits. 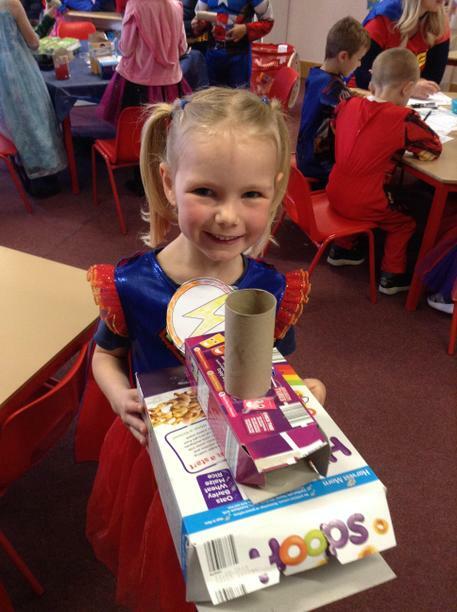 Lions made our own gadgets, logos and moving Superheroes. 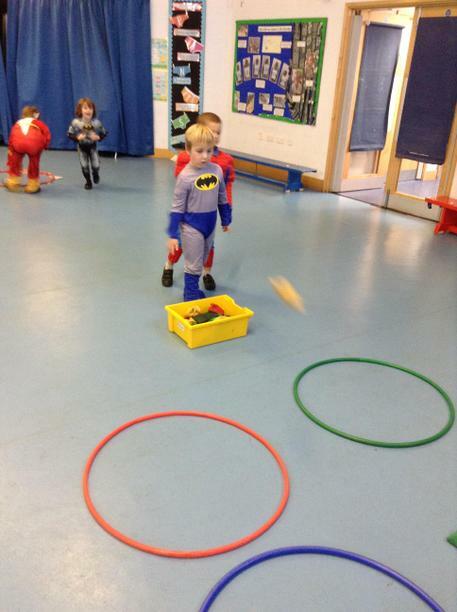 Later, we practiced our Superhero skills and even flew through the sky. 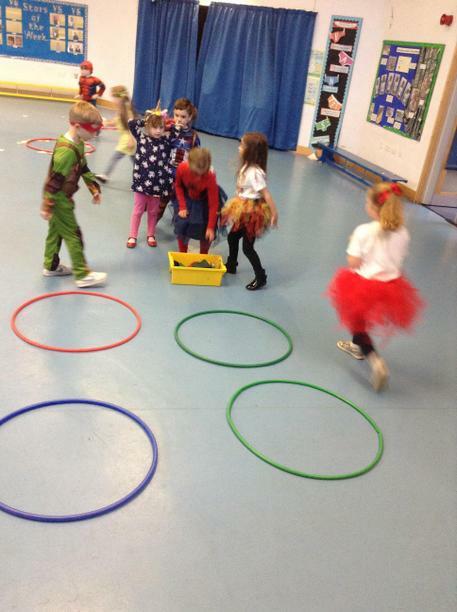 Have a look at some of the fun we had! 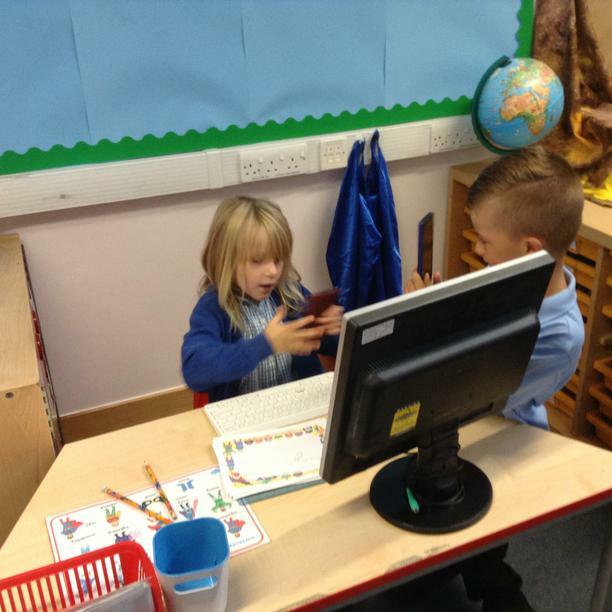 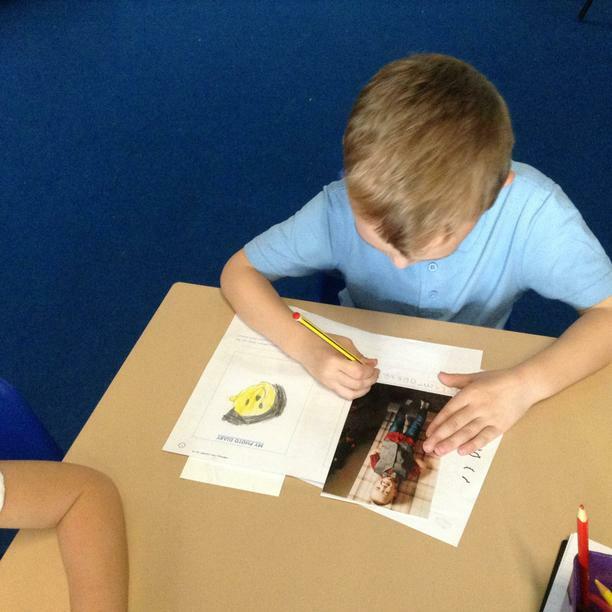 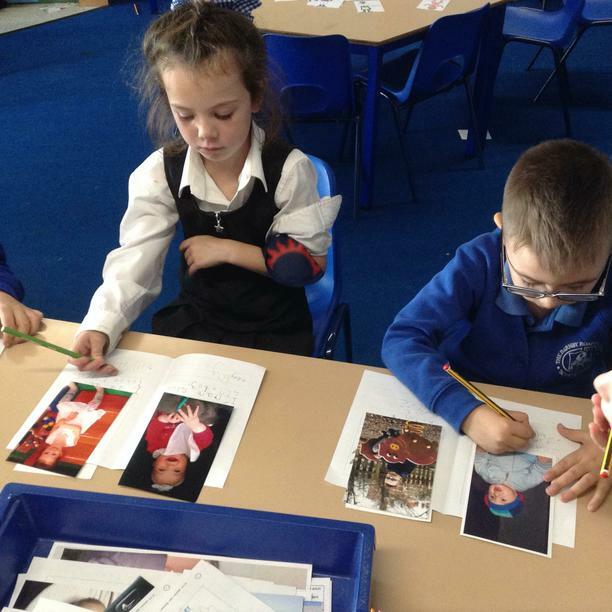 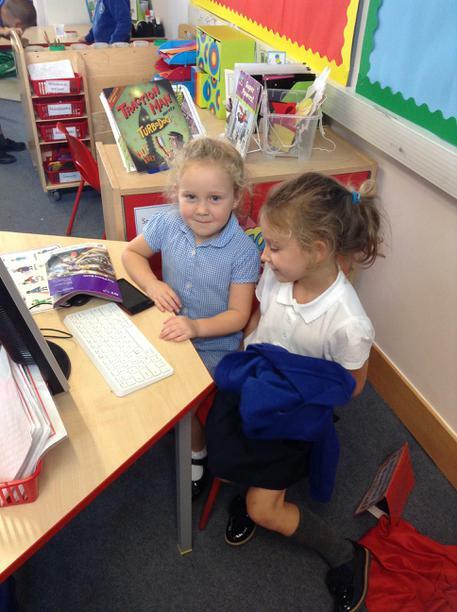 Meerkats loved sharing pictures of themselves to make their photo diaries! 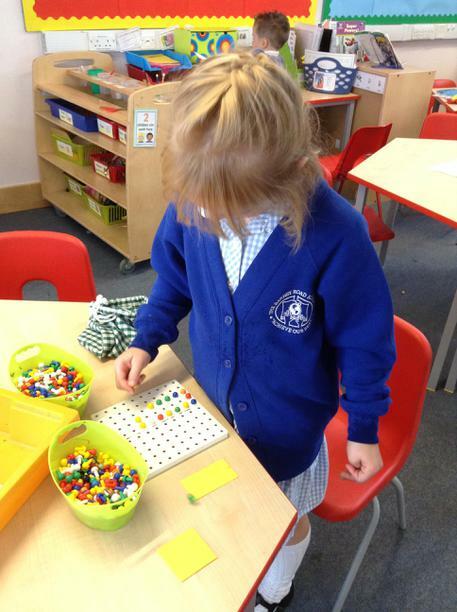 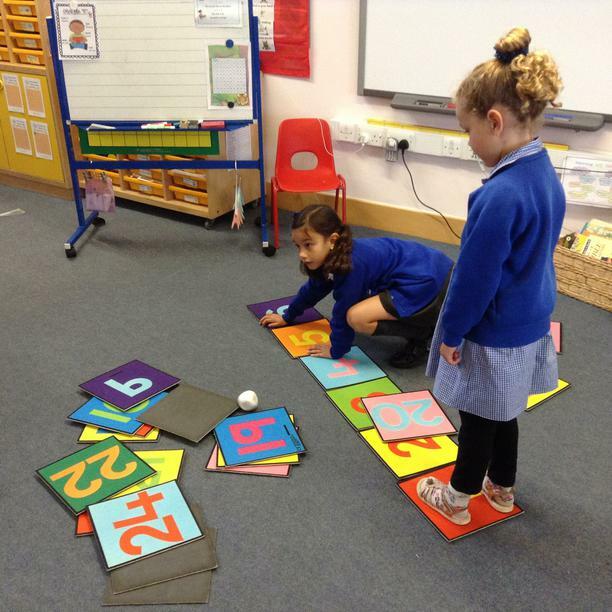 They enhanced their learning by sequencing pictures youngest to oldest, but also explored other areas of the classroom including math's, reading and fine motor skills. 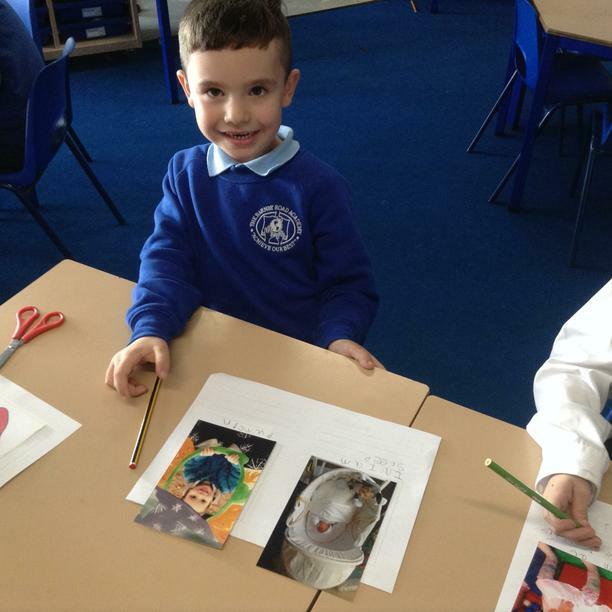 Topic is a great chance for our pupils to enrich their cross curricular skills! 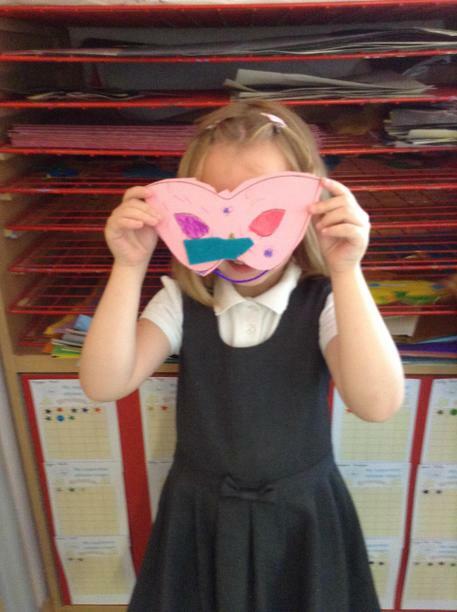 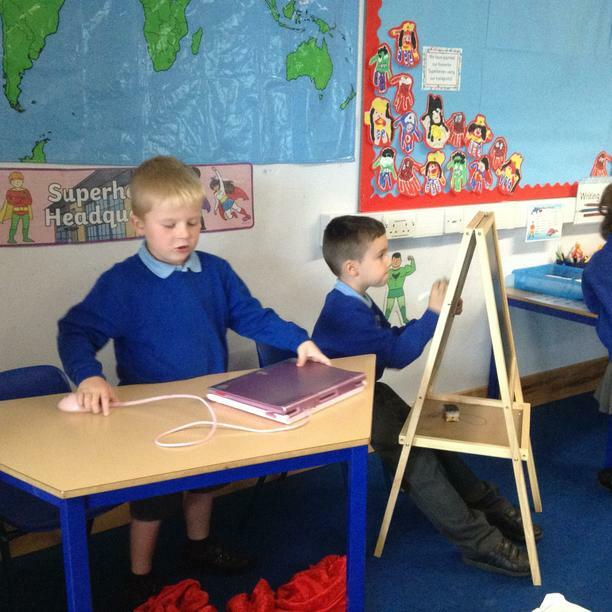 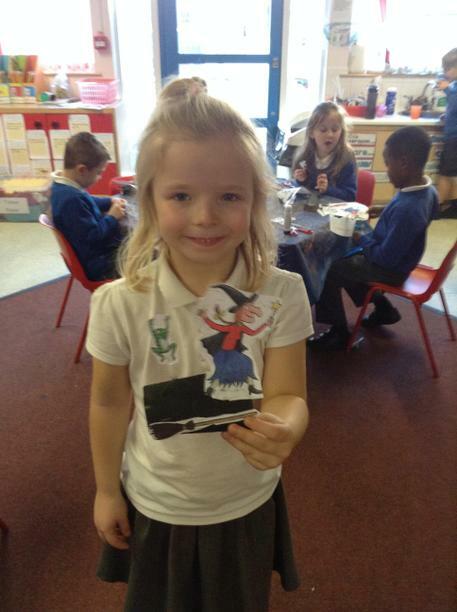 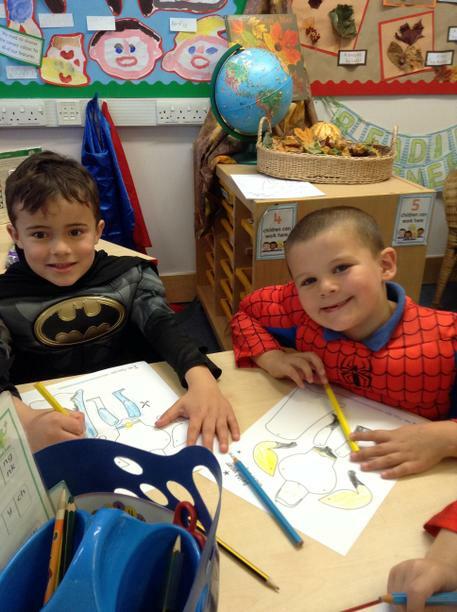 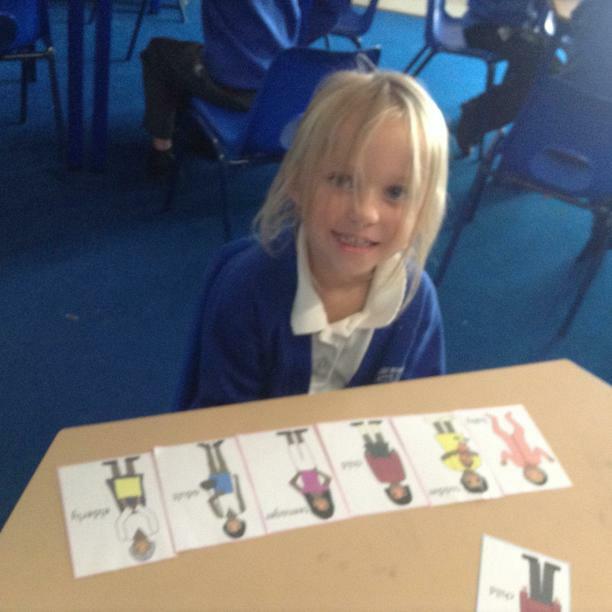 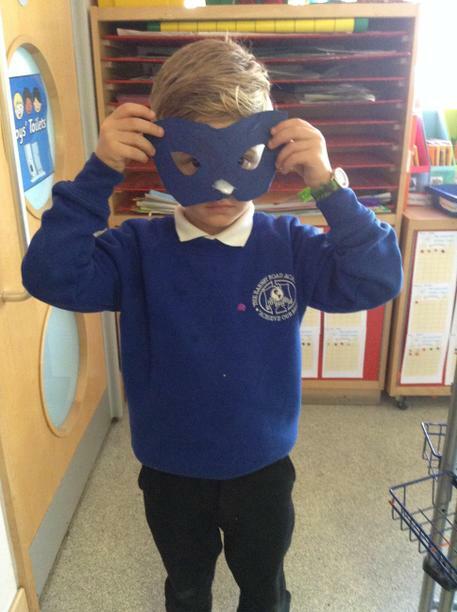 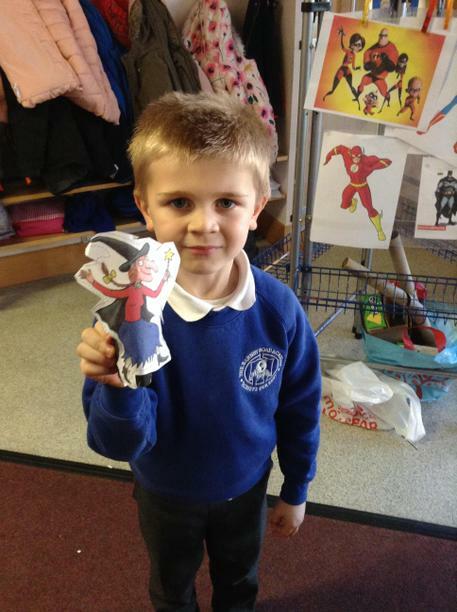 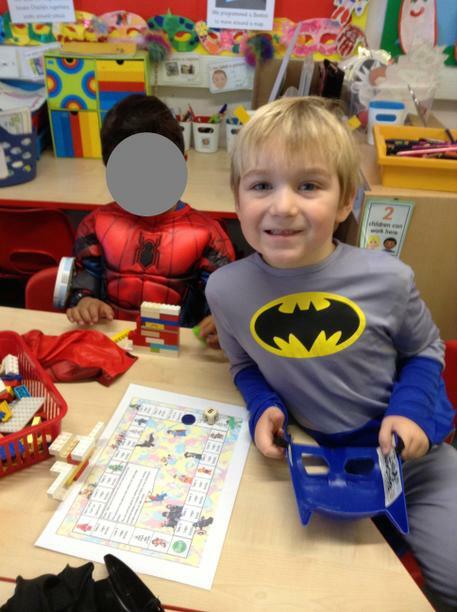 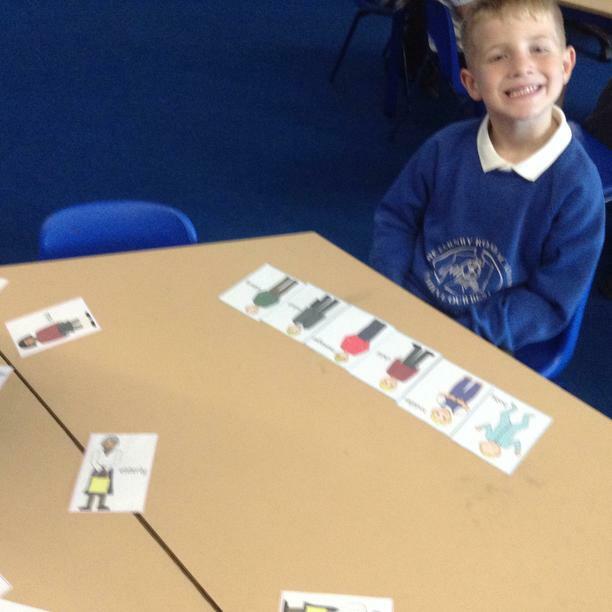 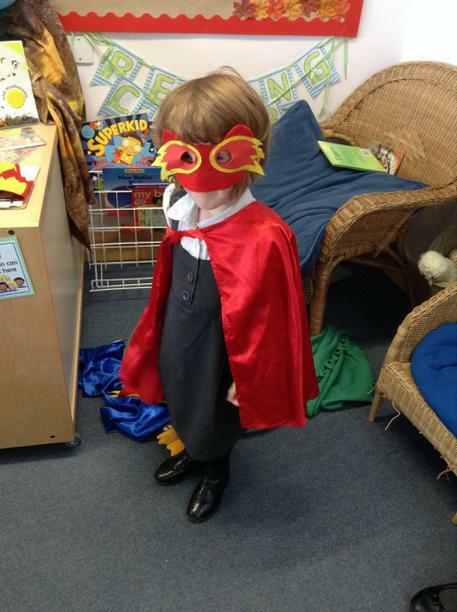 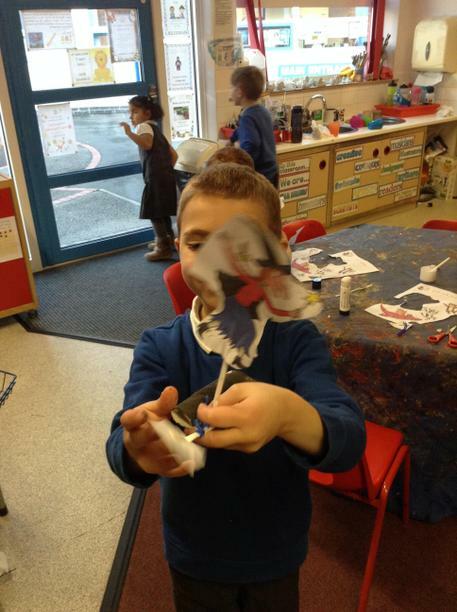 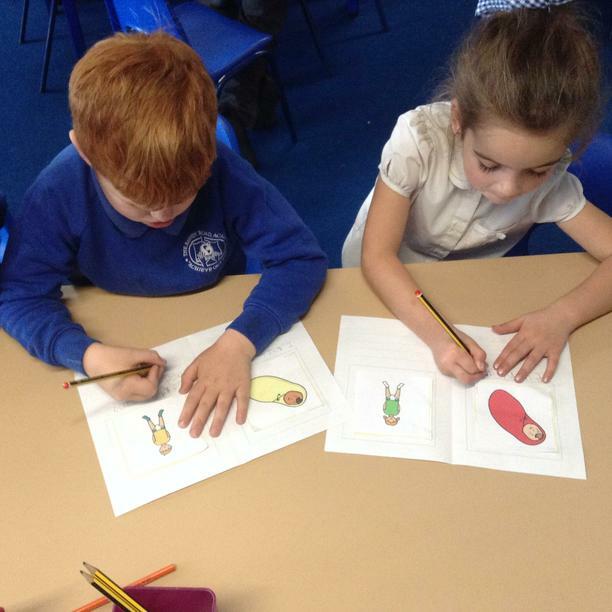 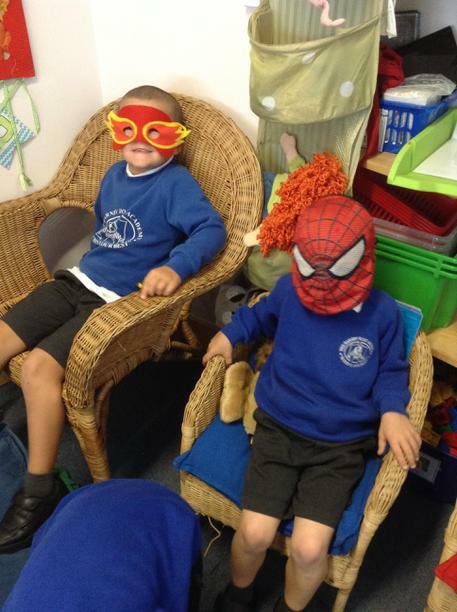 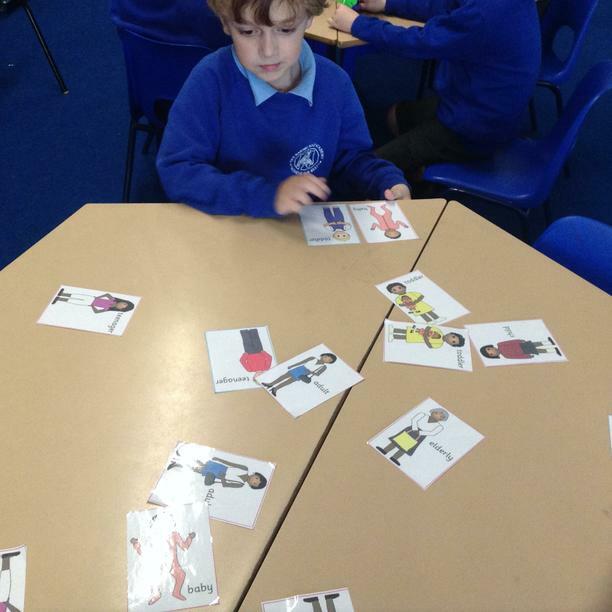 In Year 1, we have been learning about Superheroes. 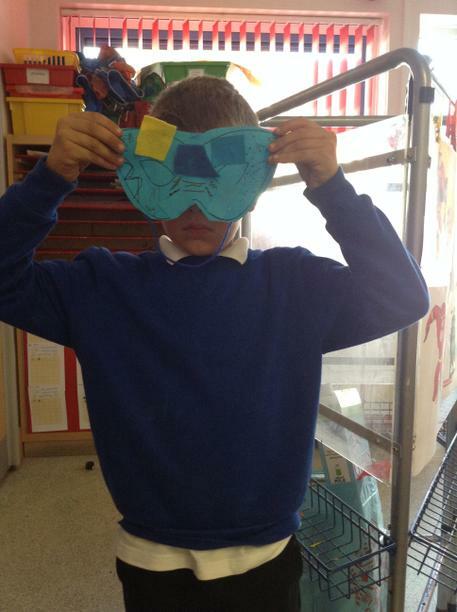 Traction Man left us a mission to design a new mask for him. 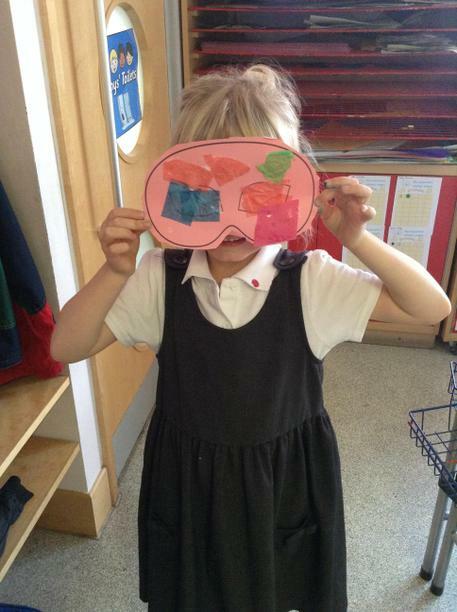 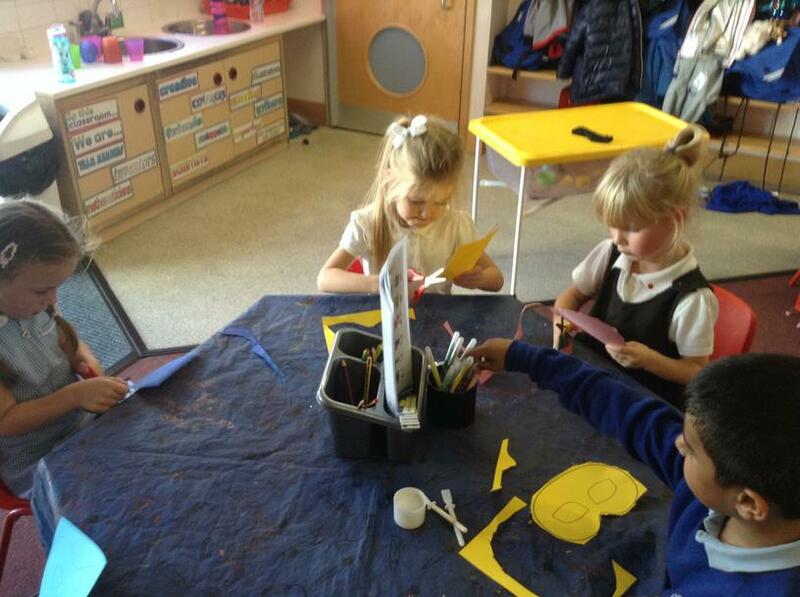 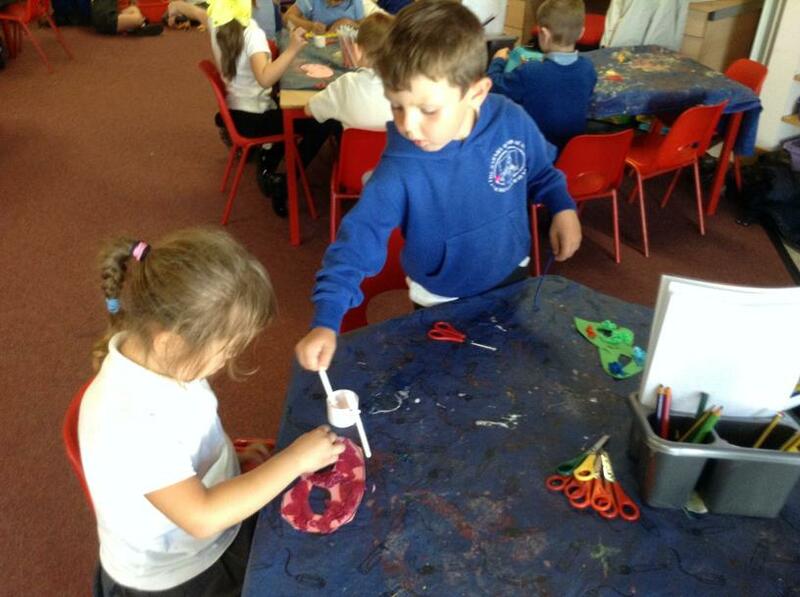 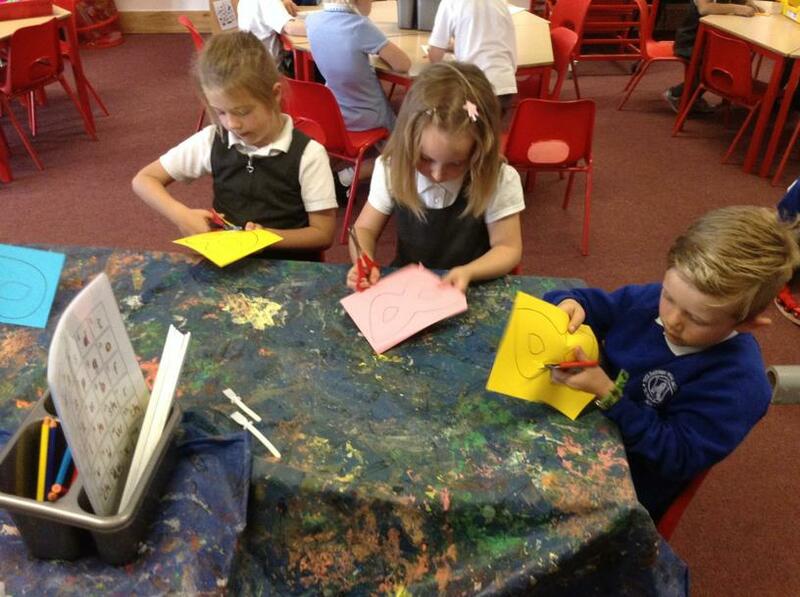 The Lions thought carefully what what they wanted their mask to look like and enjoyed creating a mask of their own. 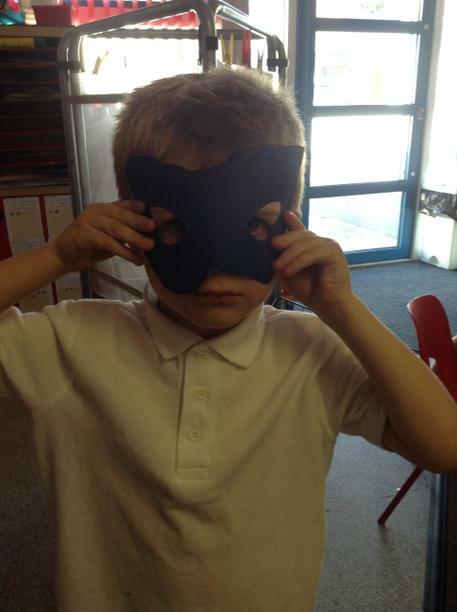 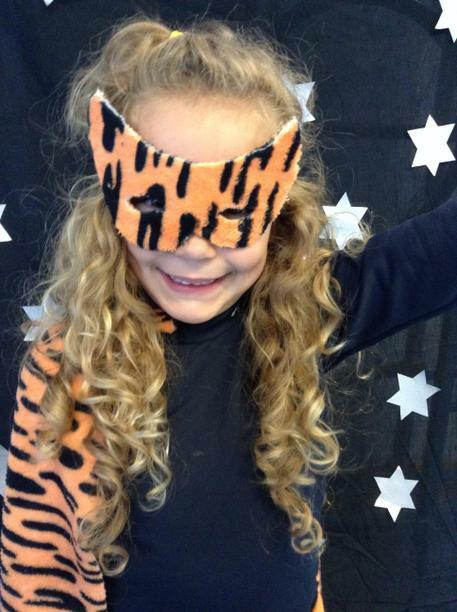 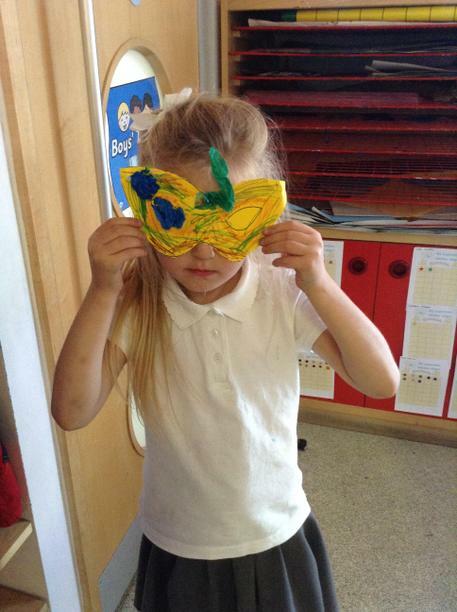 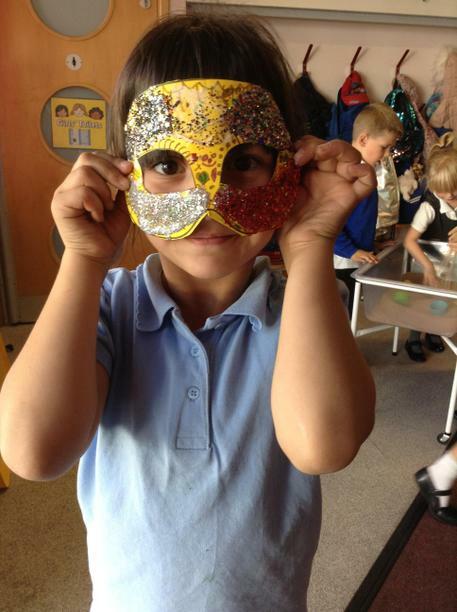 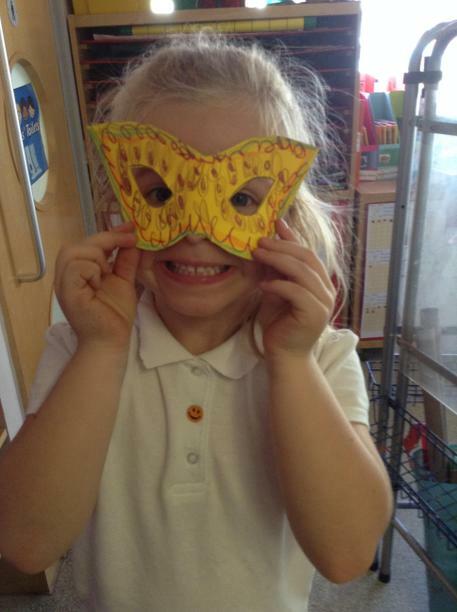 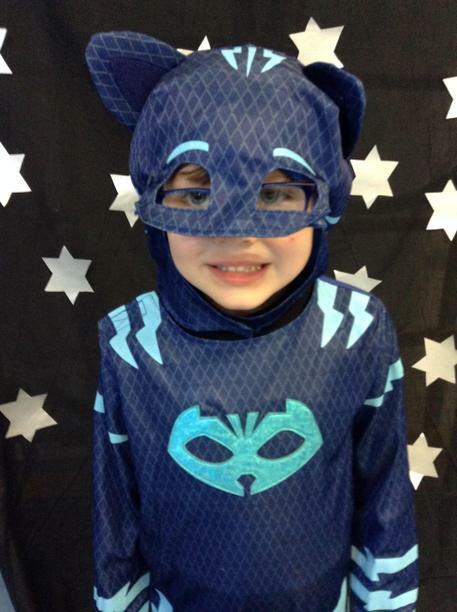 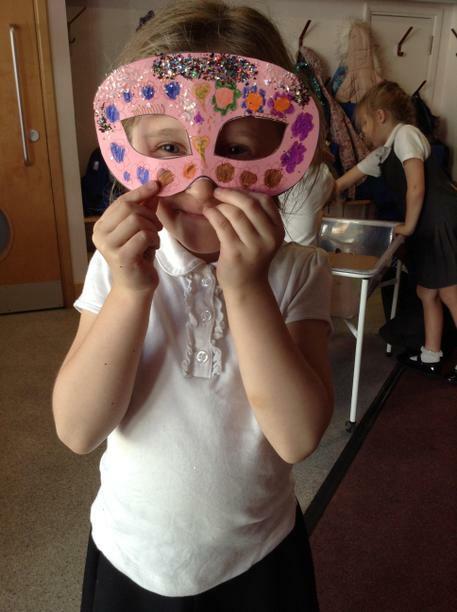 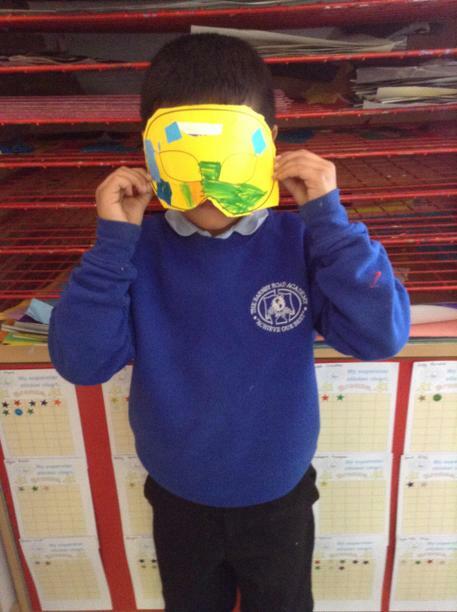 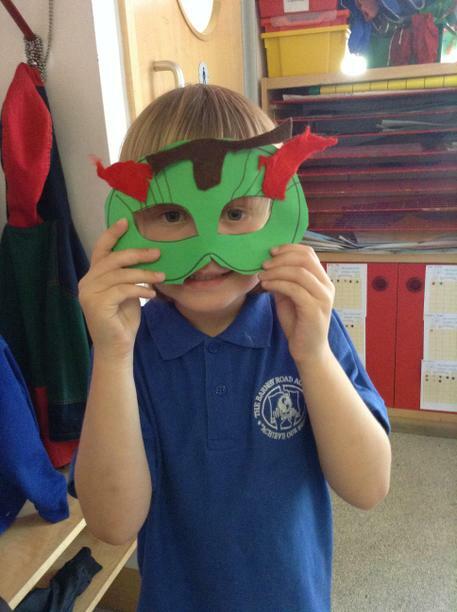 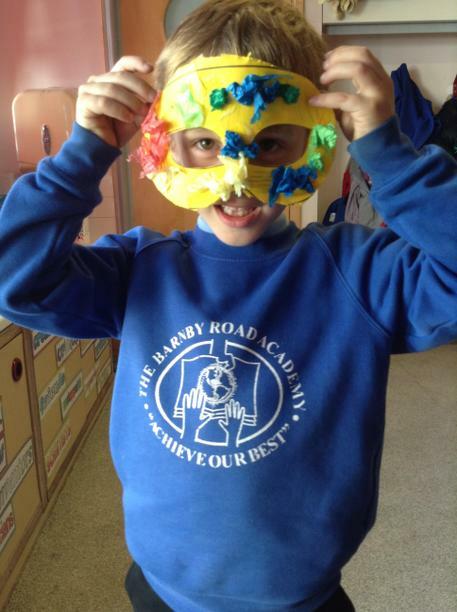 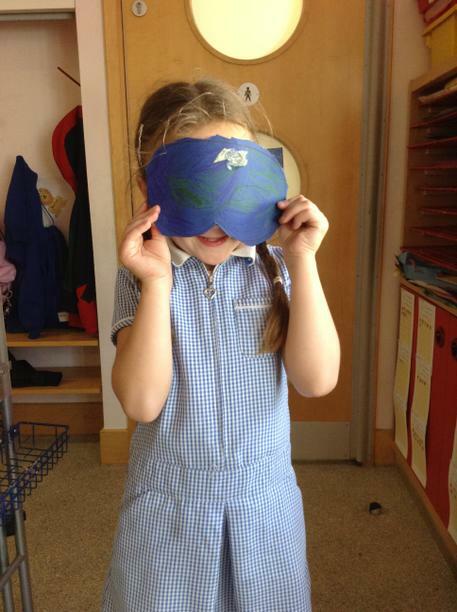 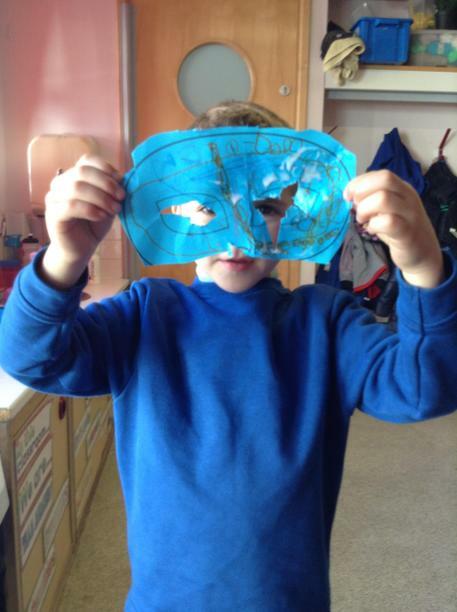 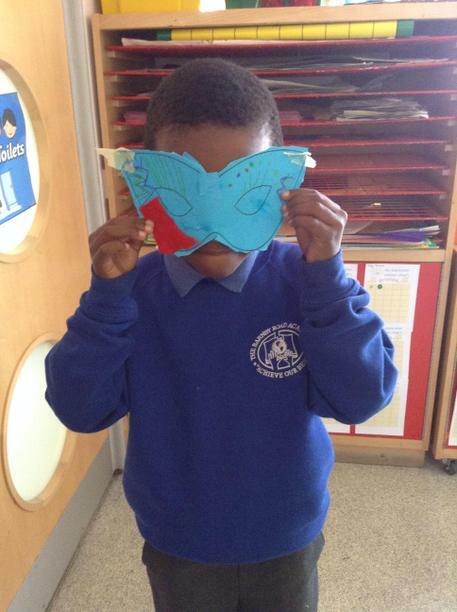 Have a look at some our their superhero masks.